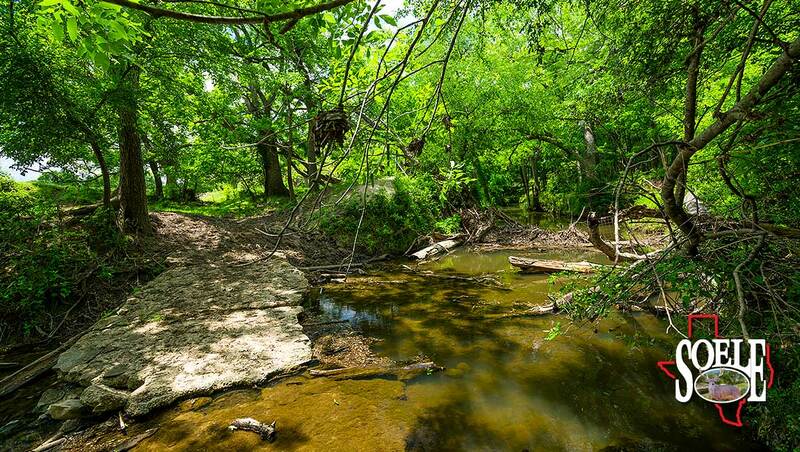 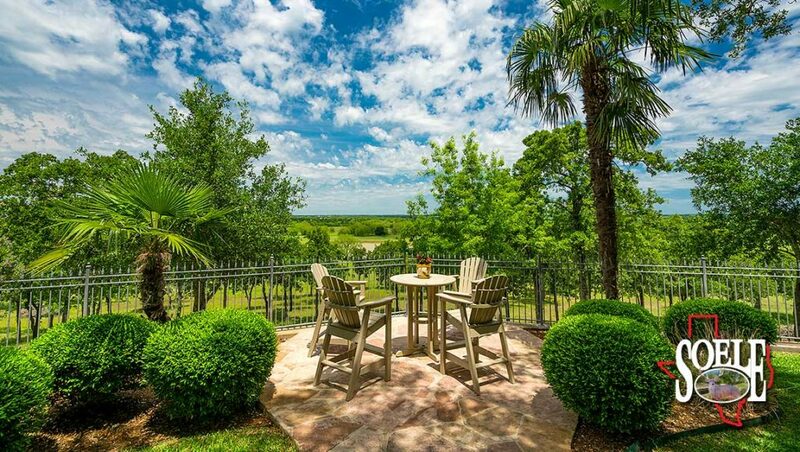 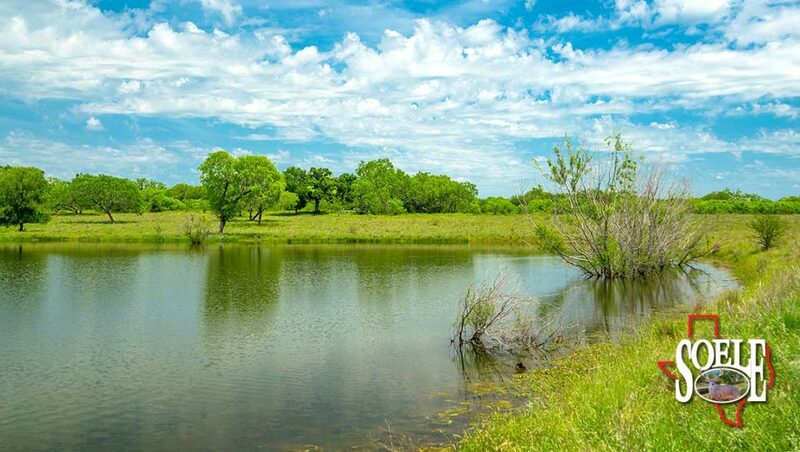 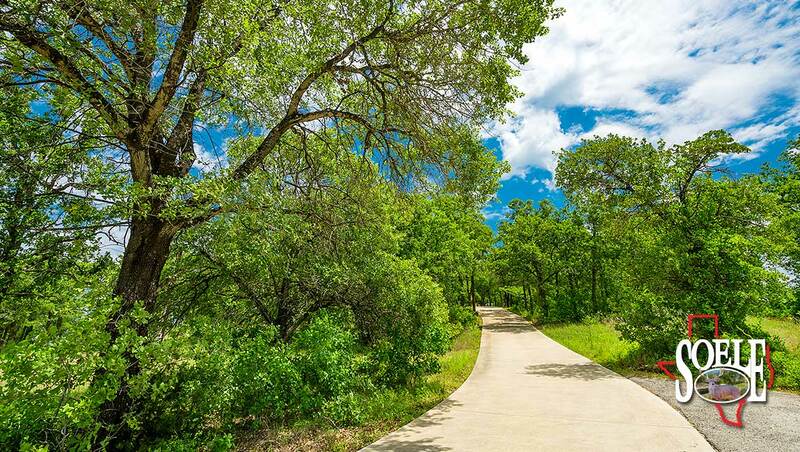 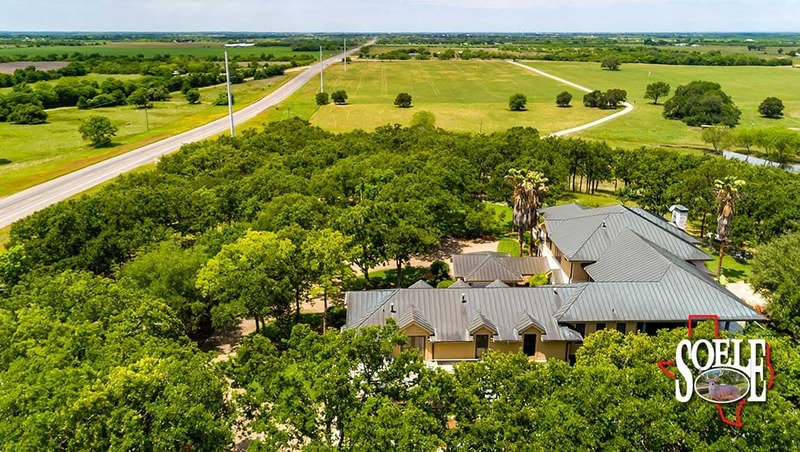 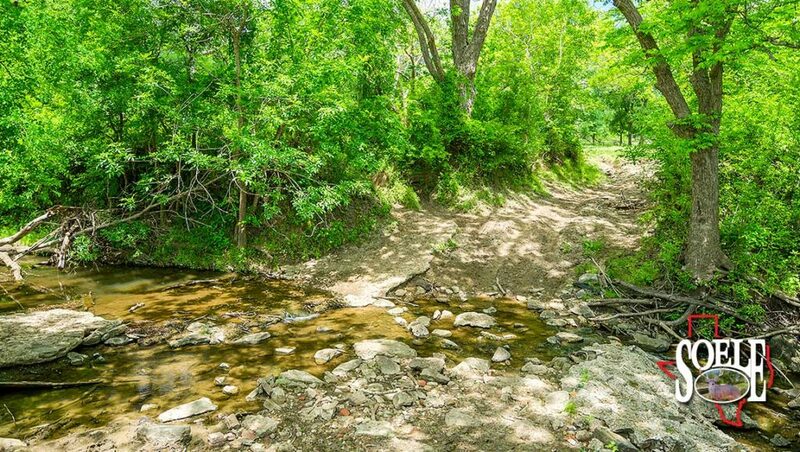 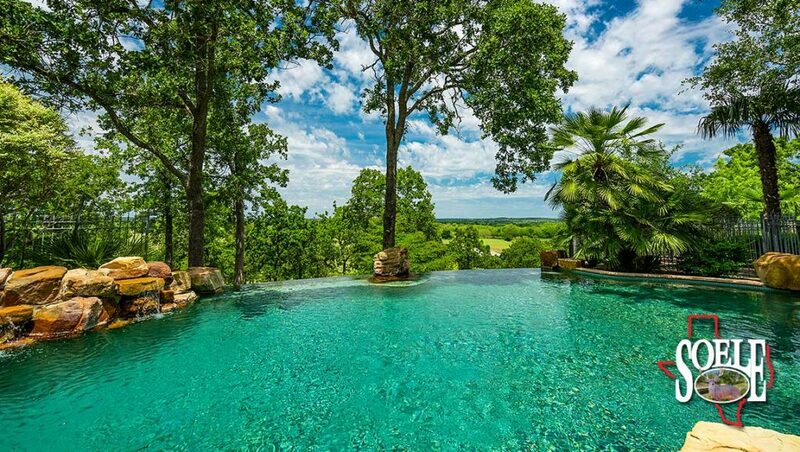 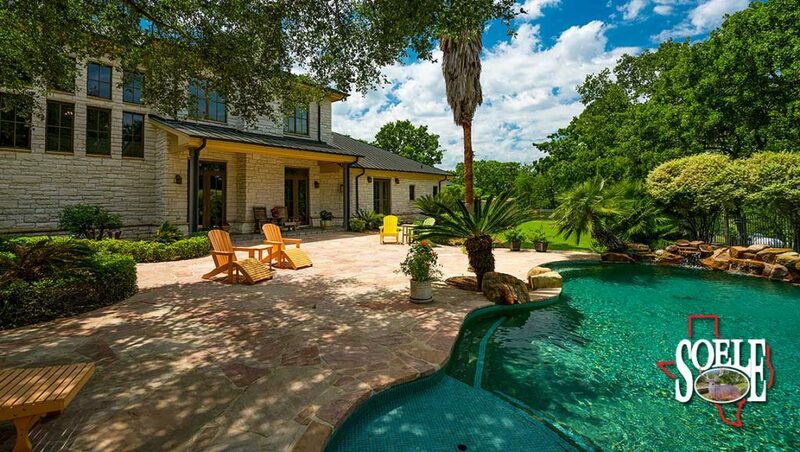 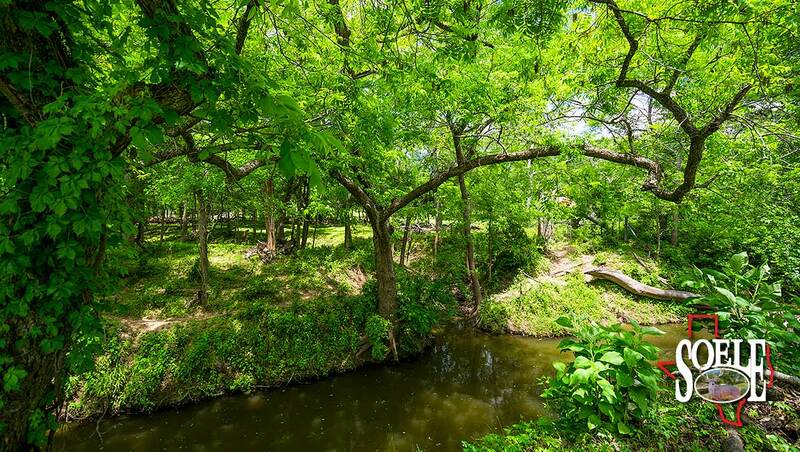 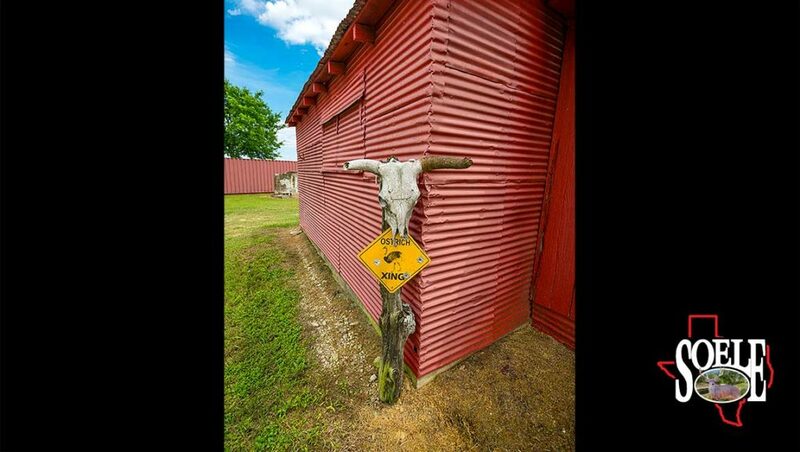 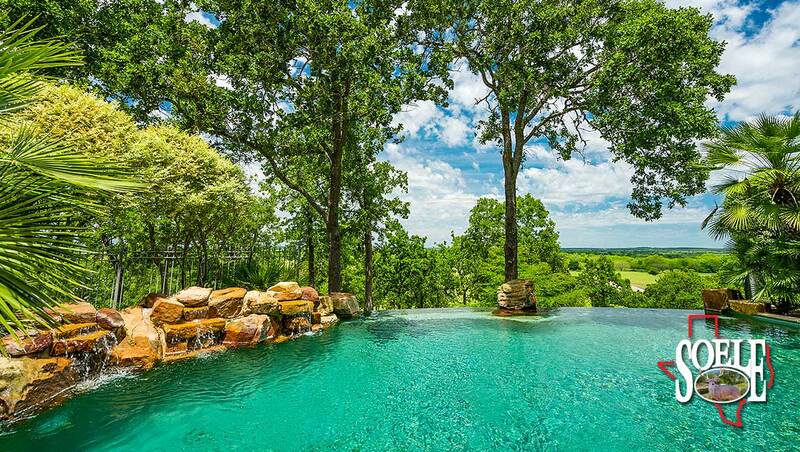 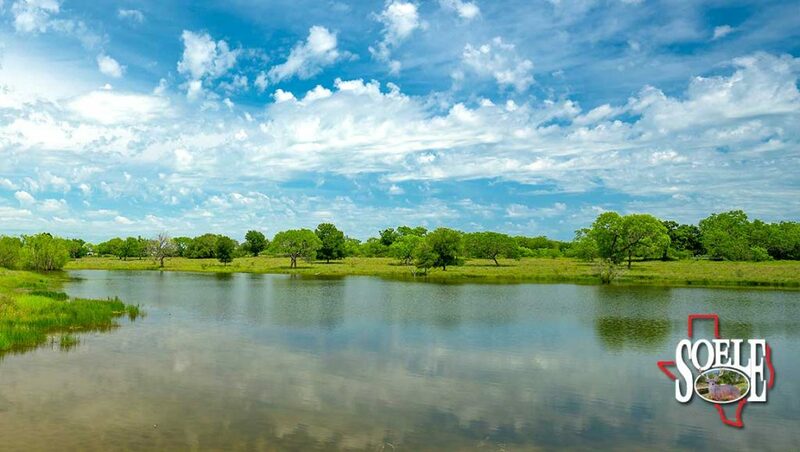 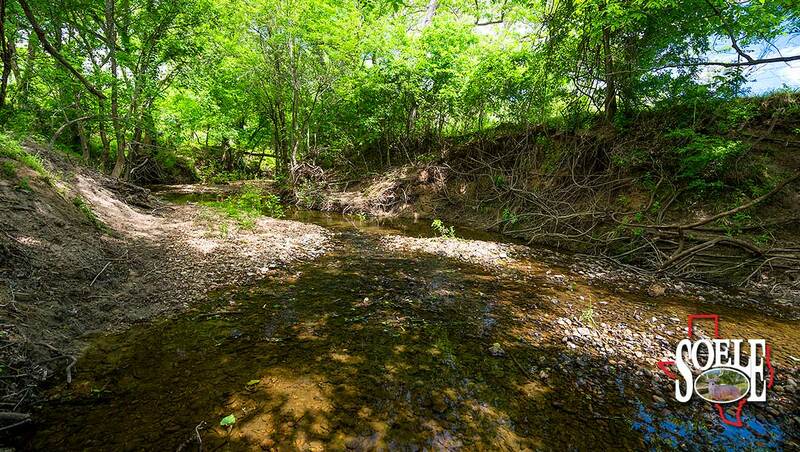 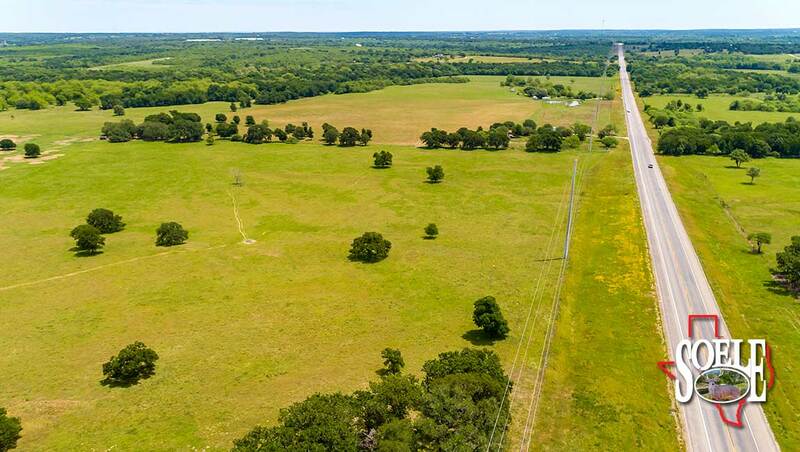 503± Acres in Guadalupe county, minutes to Sequin, Texas or only 30 minutes to San Antonio and all of its sought after amenities! 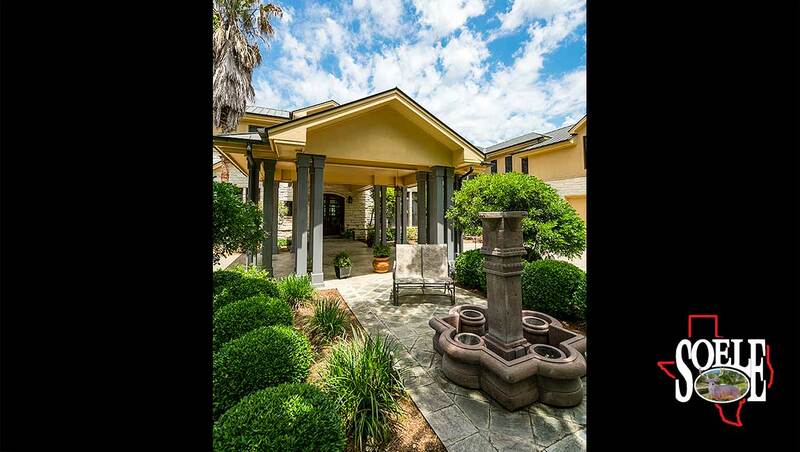 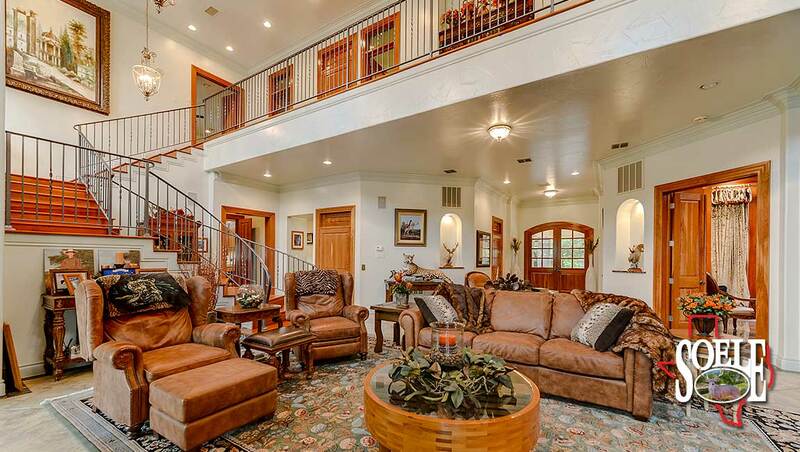 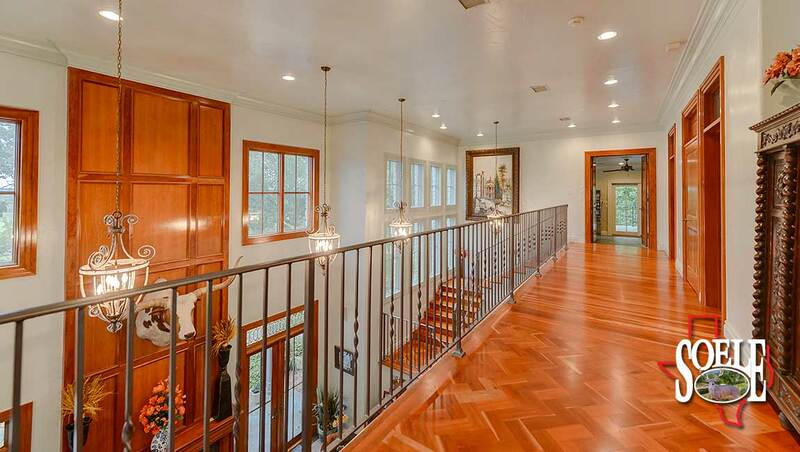 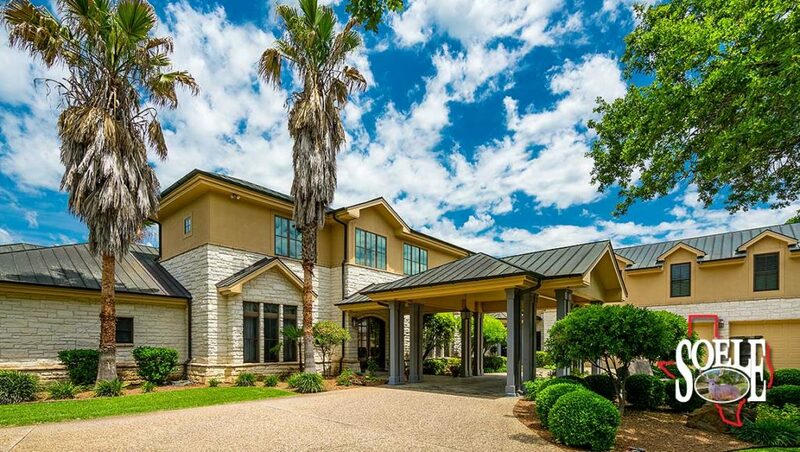 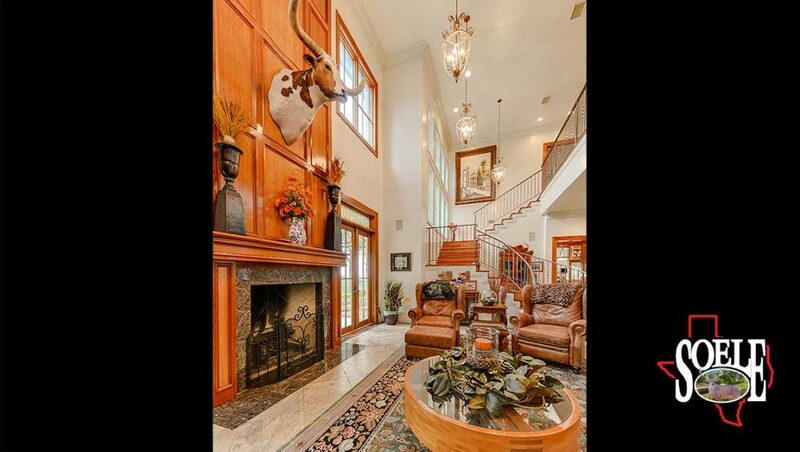 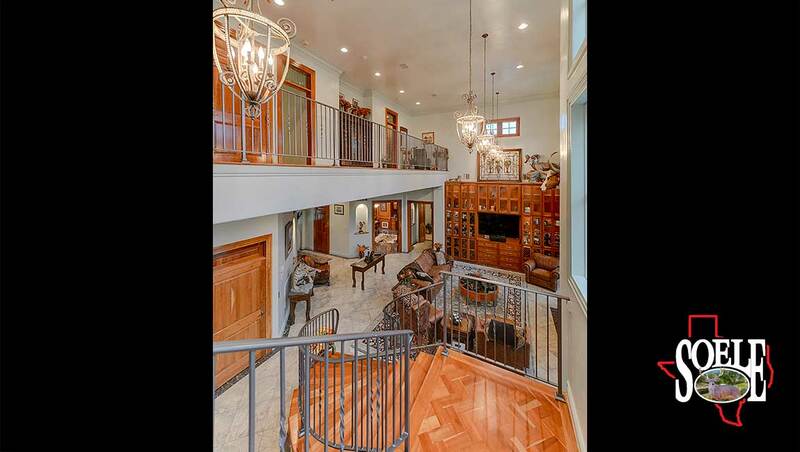 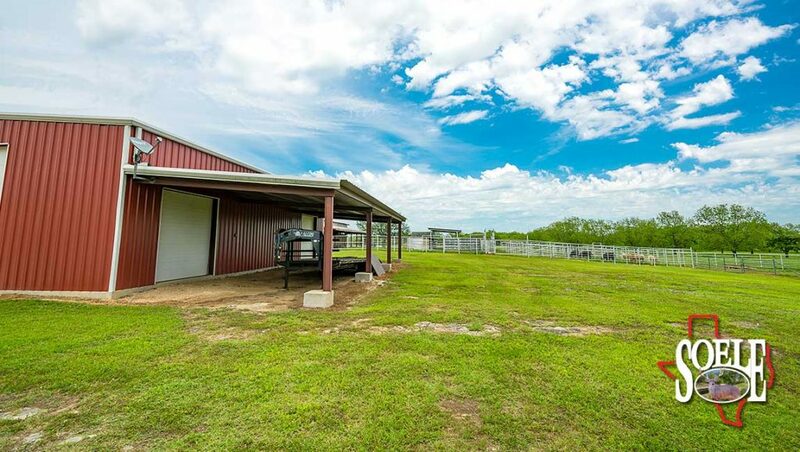 Paved access with electric gate entry, paved driveway heading up to your main compound, high fenced area, 12 year old, hilltop rock mansion having approx. 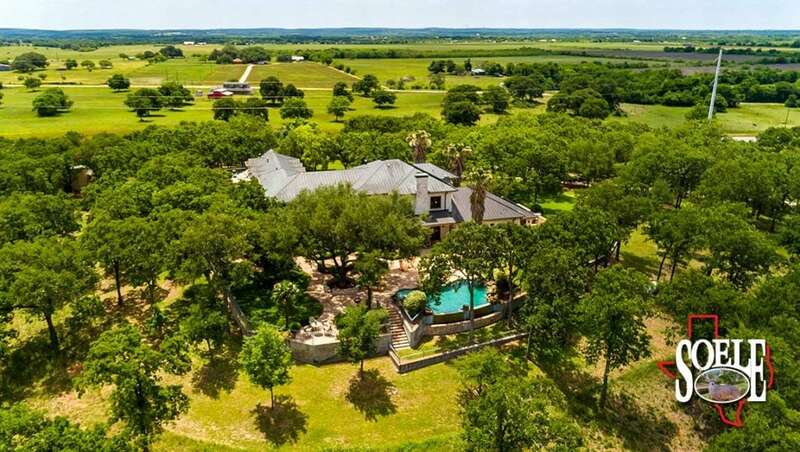 8000± sq ft of A/C living area plus several thousand more feet of slate tile porches, copper roof, concrete driveway and parking areas, security system, formal dining area, electronic room, 5 luxurious bedrooms, 5 full bathes, 2 half bathes, must see master with fireplace, walk thru shower, large tub, giant closets, outside entry, his/her toilets, wet-dry sauna, and more to come appreciate! 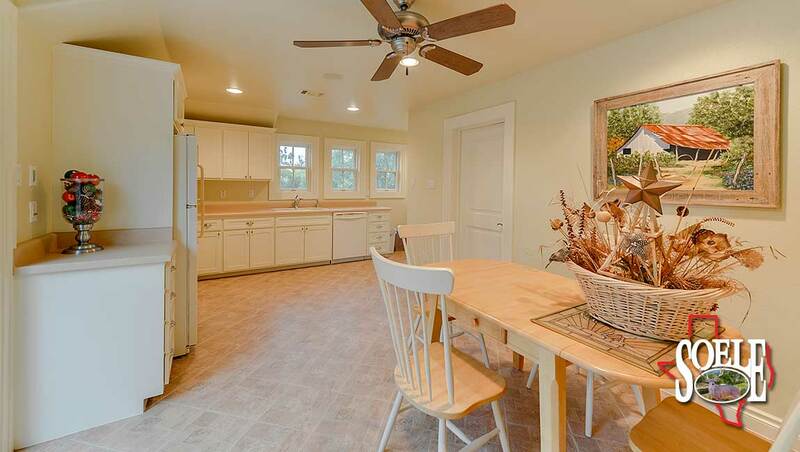 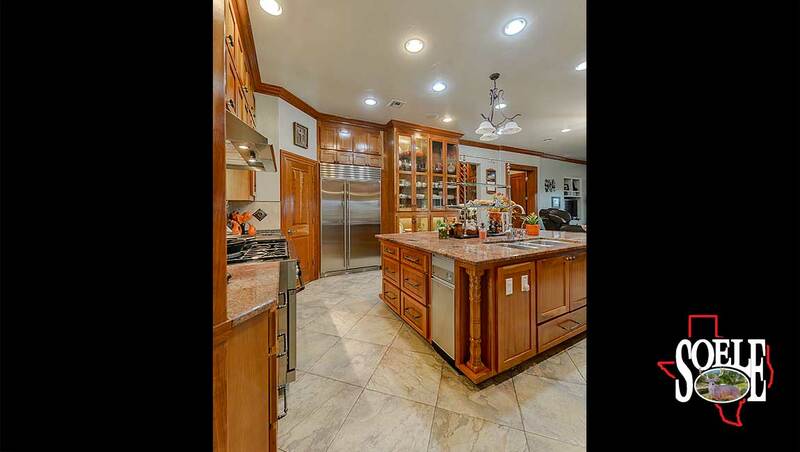 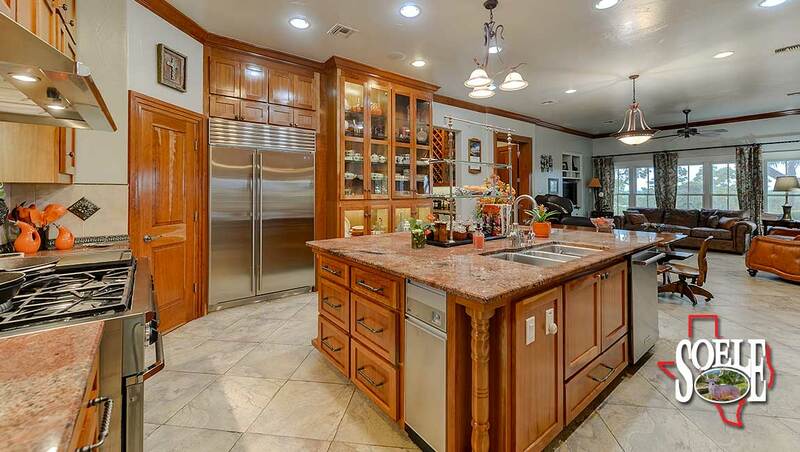 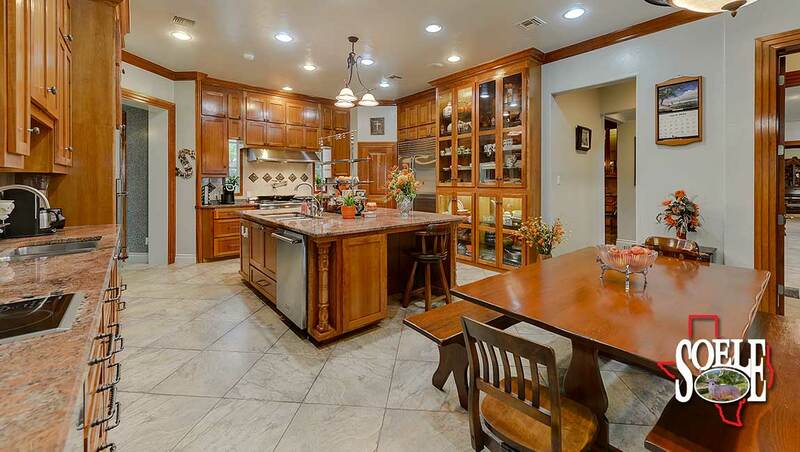 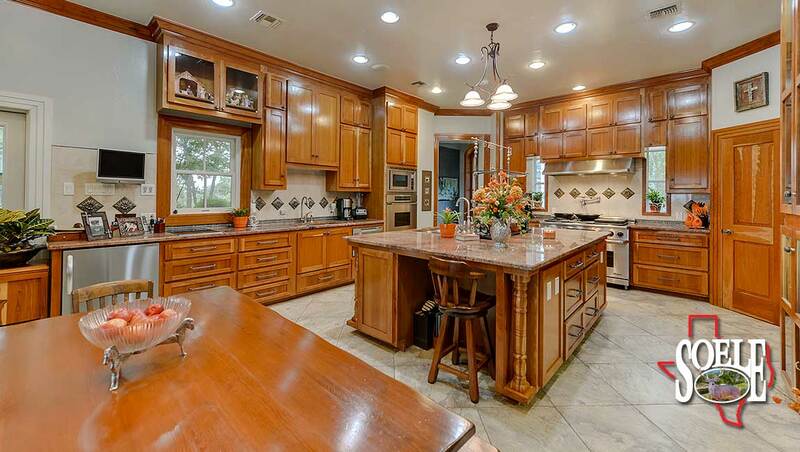 The kitchen is large, bright and open with lots of built-in cabinets and storage areas, a large granite island, several granite counter and sink areas, 2 dishwashers, a large gas 6-burner stove, large refrigerator/freezer area, microwave, bun warmer, double oven, truly an entertaining-family dream place to cook and prepare. 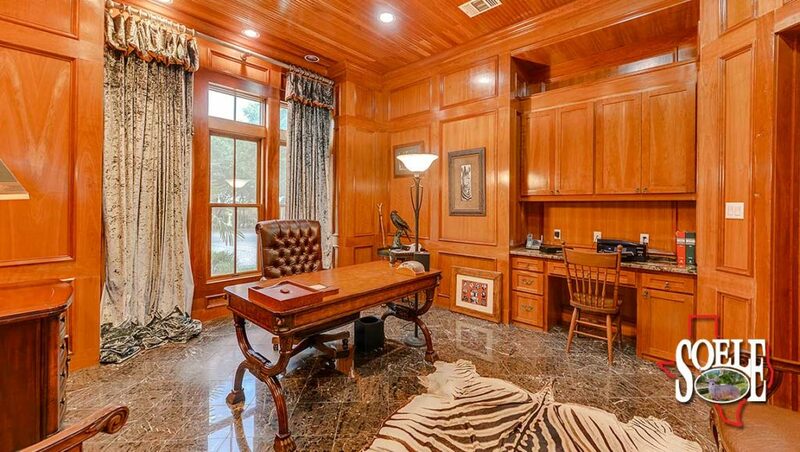 Then add a large office with judges panel, window and built-in work areas, several utility rooms, large high ceiling living room with fireplace, elegant chandeliers, elevator and a massive spiral wood staircase. 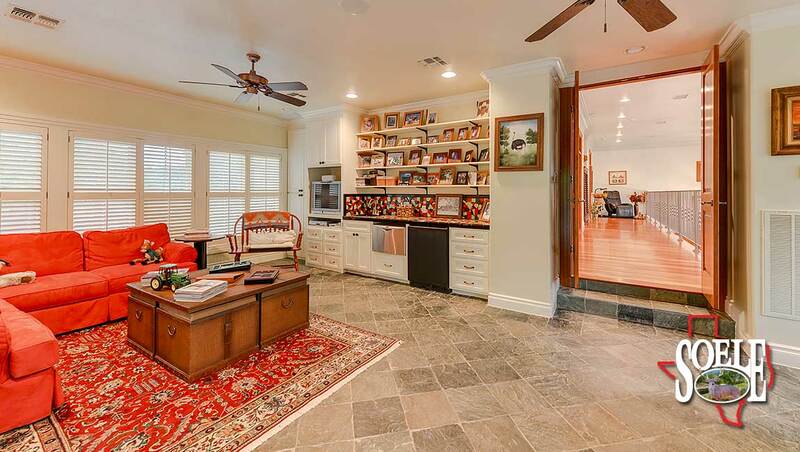 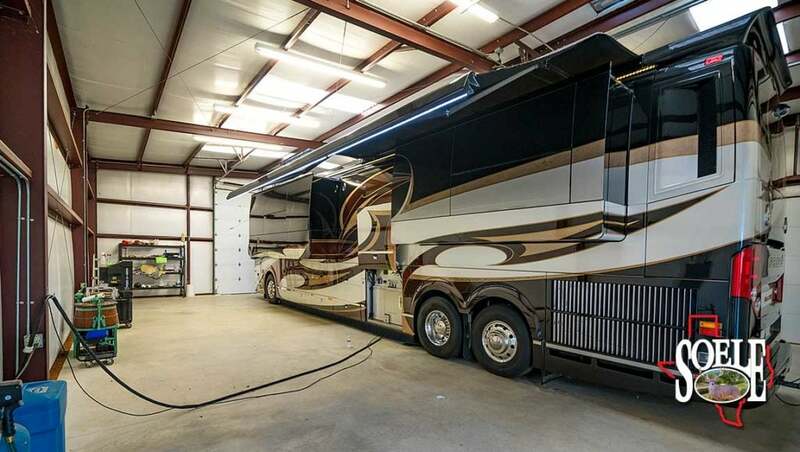 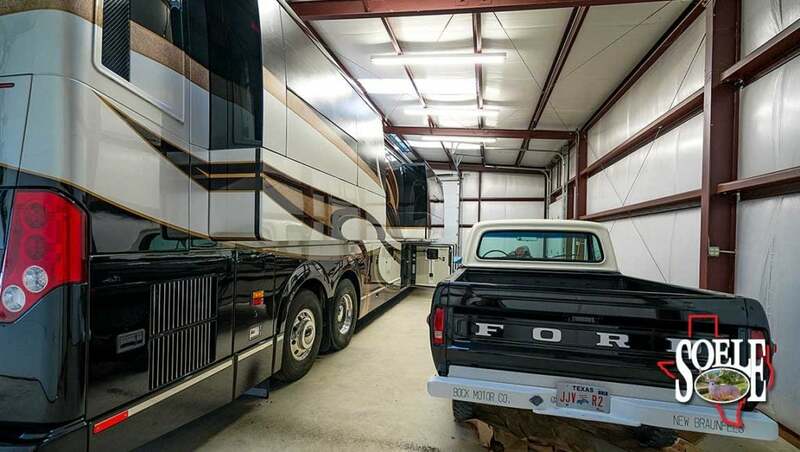 The oversize 4-car garage includes a workshop, and over the garage is living area with separate kitchen, exercise room, game room, and entertaining area! 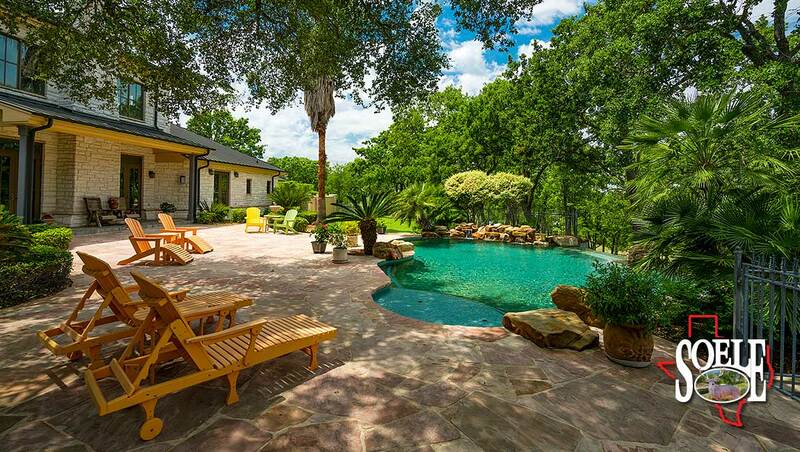 The house compound includes a matching 2 bedroom, 1 bath guest house and matching workshop, and is a manicured landscaping country club with giant trees, sprinkler system, outdoor lighting and sound system, outdoor cooking areas, fabulous infinity negative edge pool with waterfalls and a large patio deck areas overlooking land and lakes below! 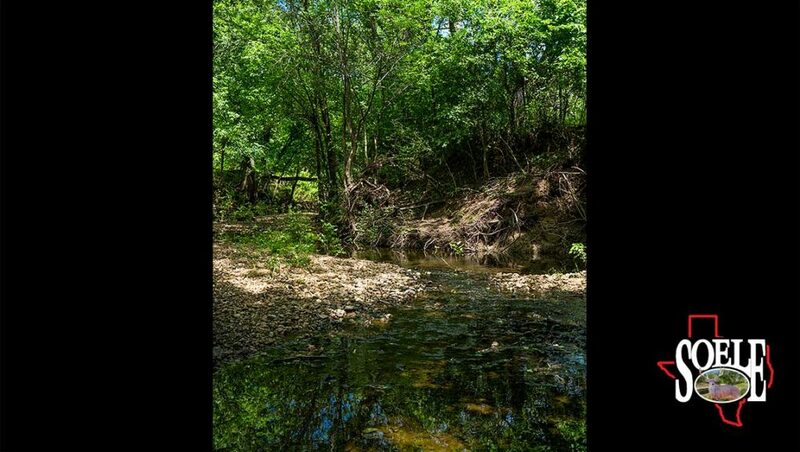 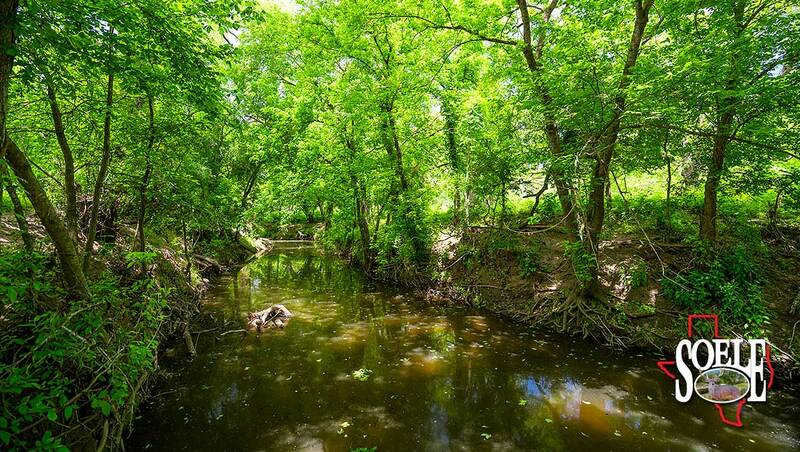 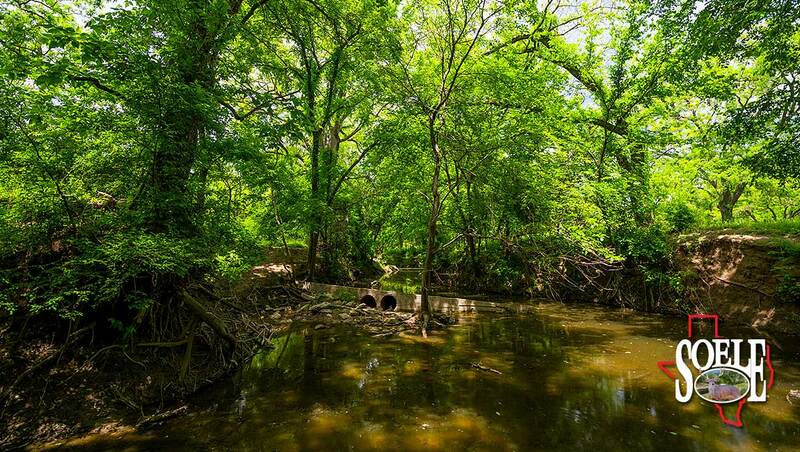 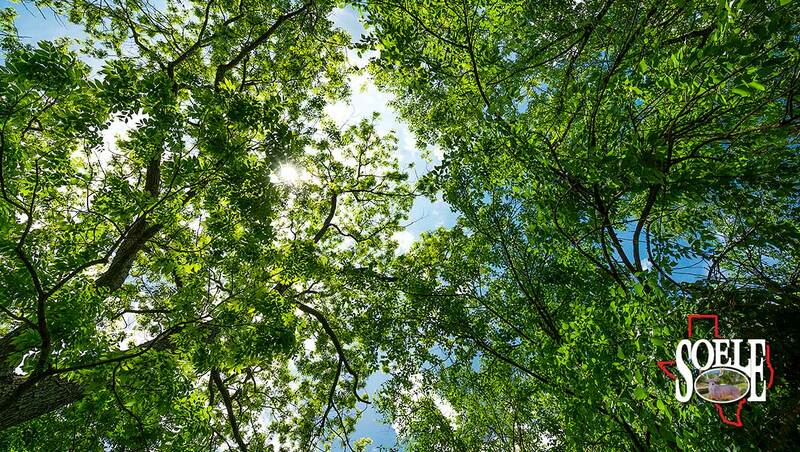 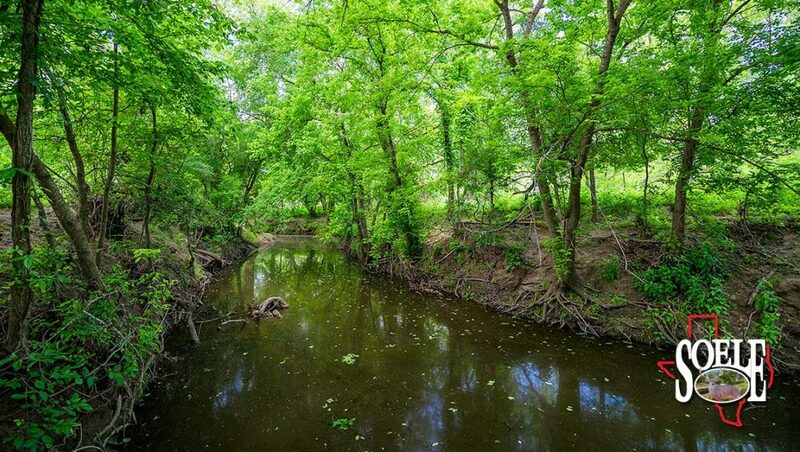 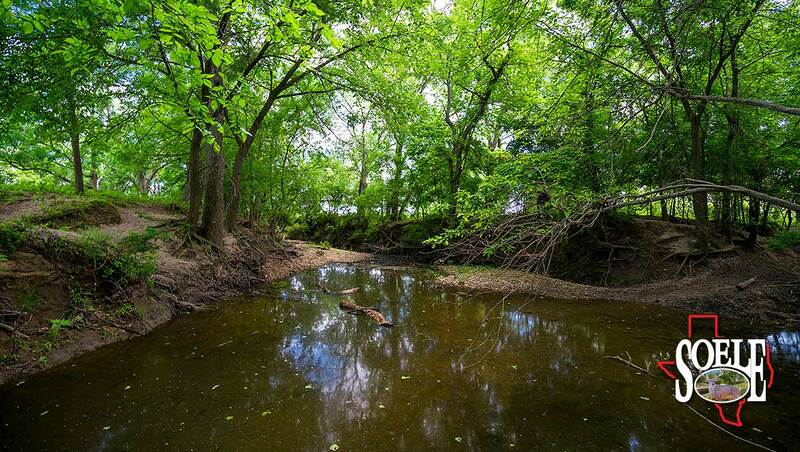 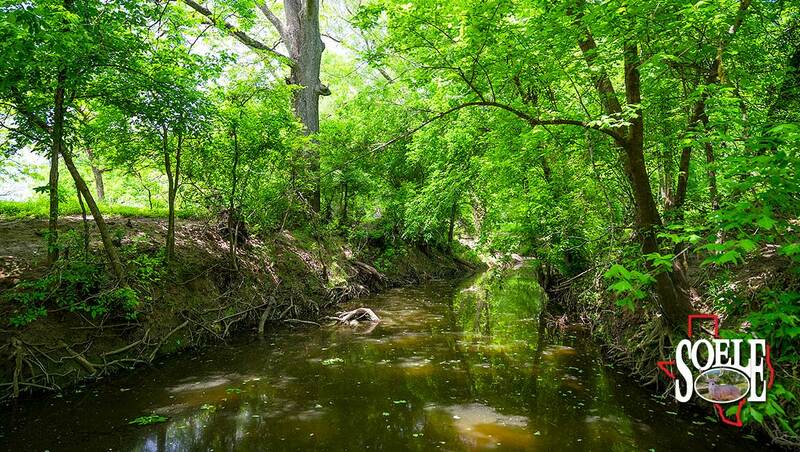 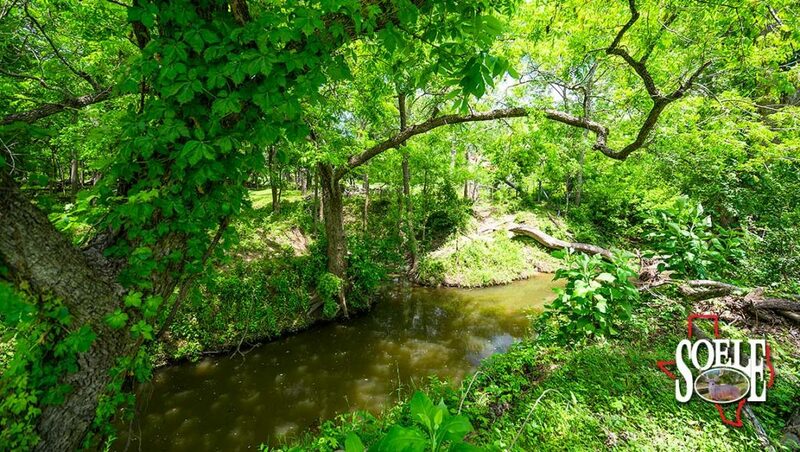 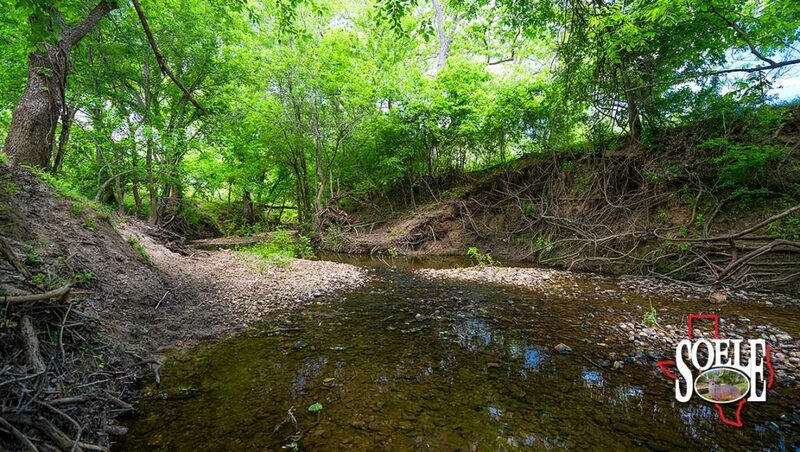 There are 3 water wells plus Springhill community water supply co-op, as well as both sides of running Mill Creek with small waterfalls and giant trees all along wooded areas. 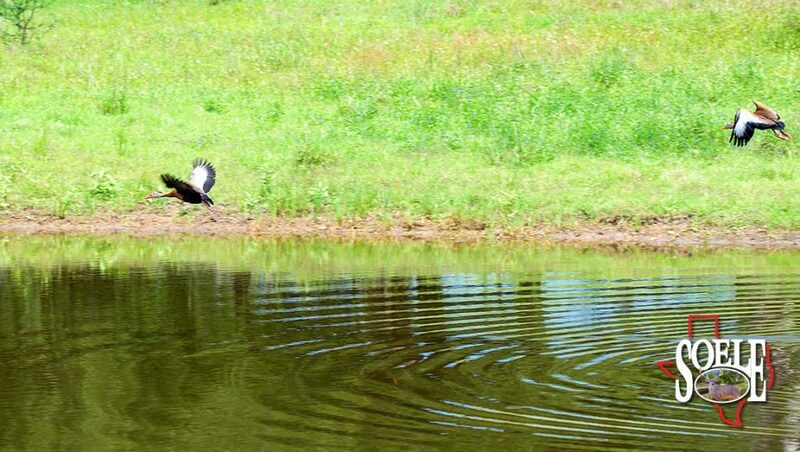 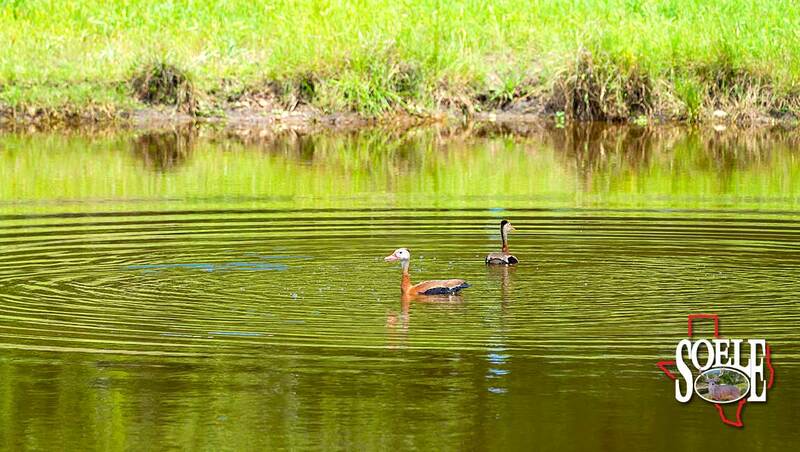 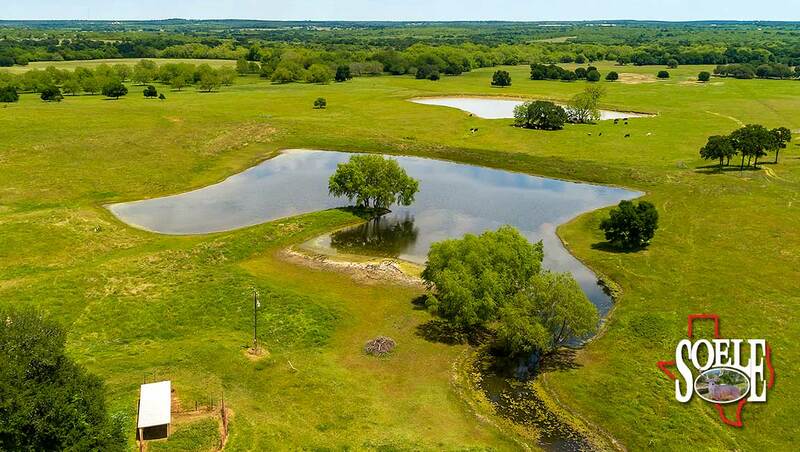 There are also 2 large fishing lakes and 3 smaller stock ponds. 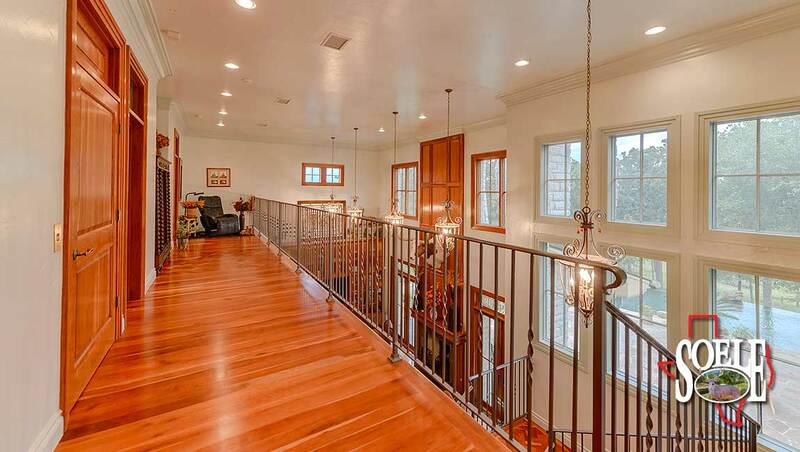 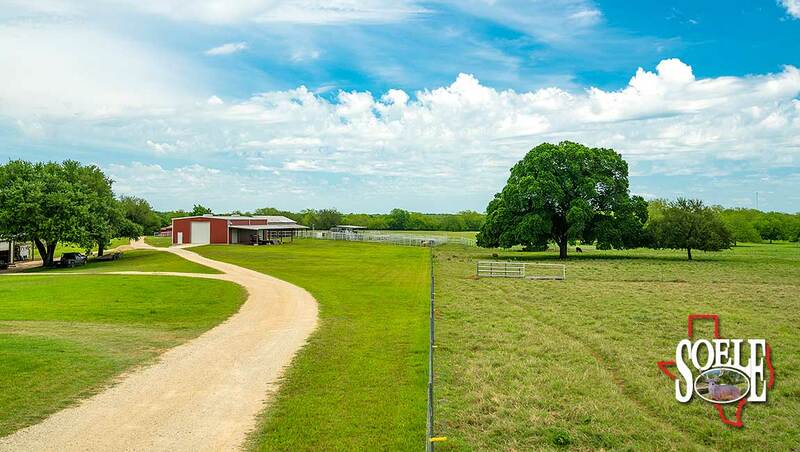 A second gated electric paved access leads down to the manager’s house, a 4 door 40′ x 60′ insulated barn-R.V. 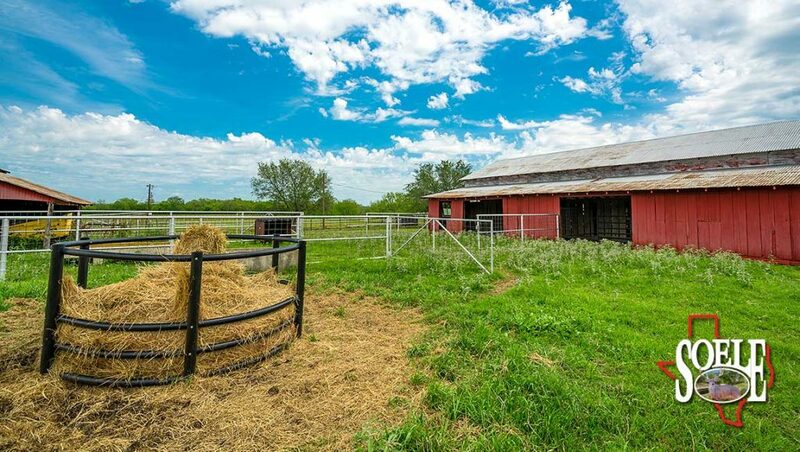 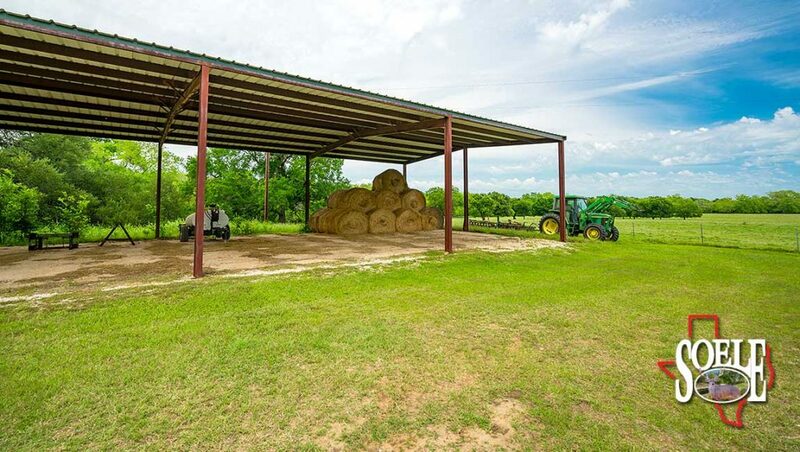 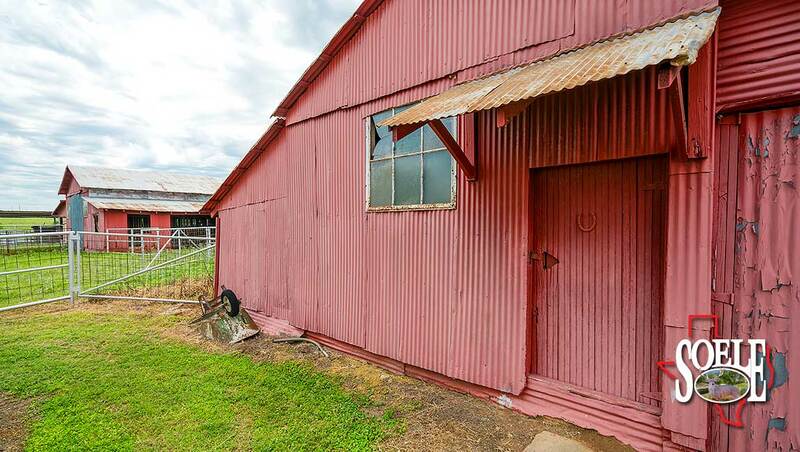 storage with electric door and 60′ x 20′ extended roof area, then add an 80′ x 30′ equipment barn with office and bath, a 30′ x 50′ equipment area, cattle pens, a 100′ x 40′ covered hay area, all in a cleaned manicured area with many giant oak trees. 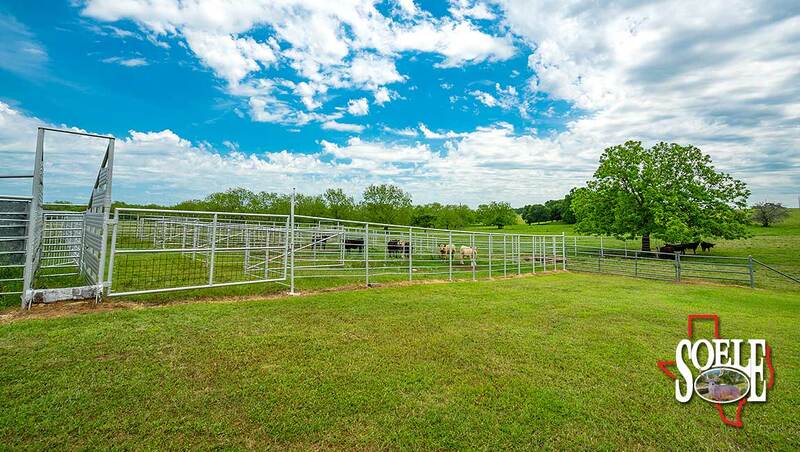 Ranch fencing is the best of the best all galvanized – low maintenance – no painting! 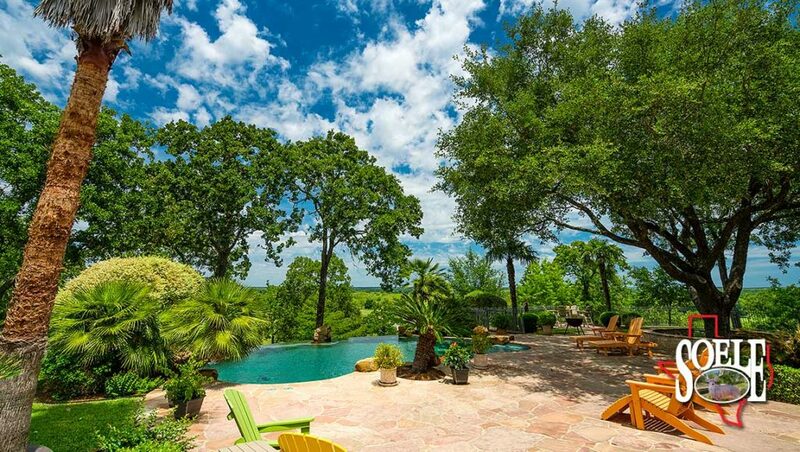 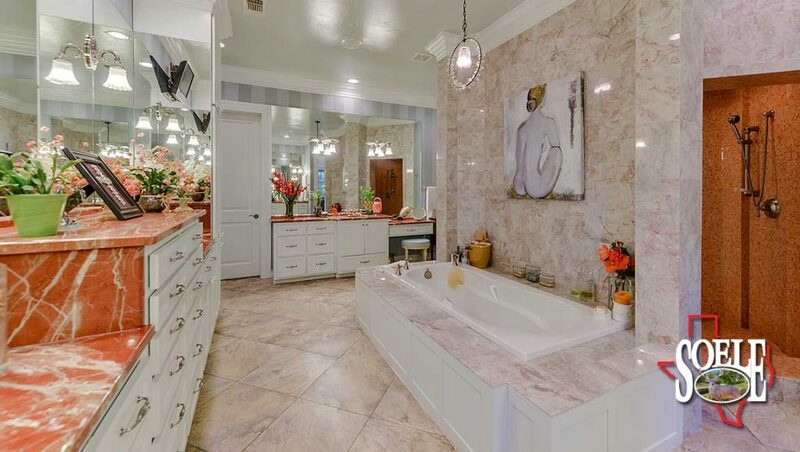 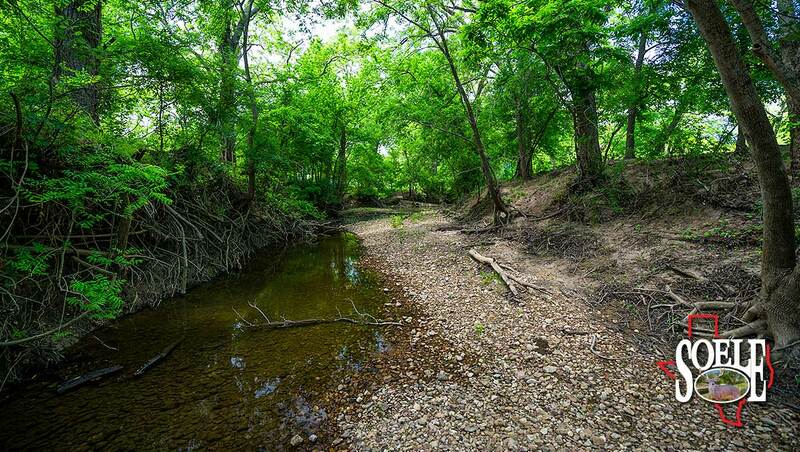 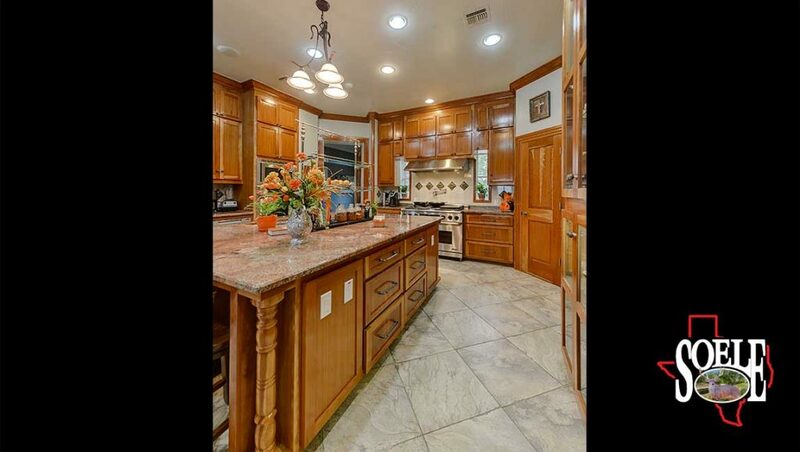 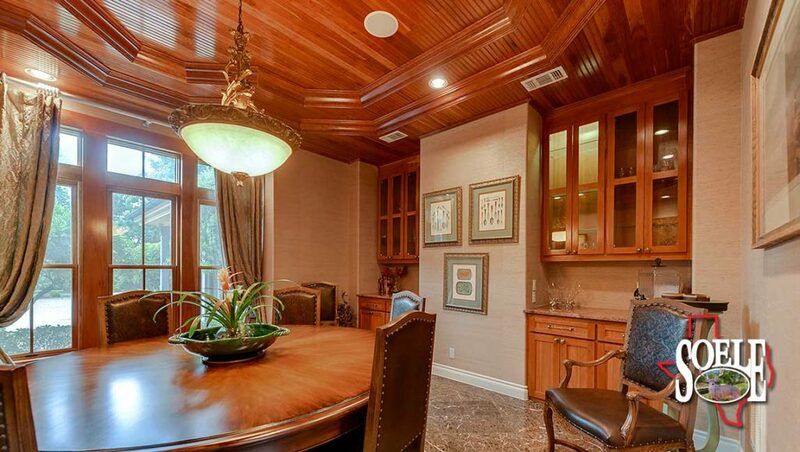 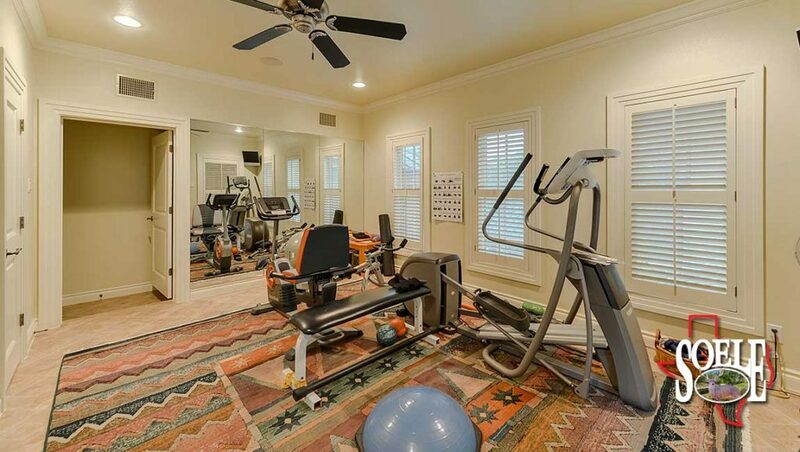 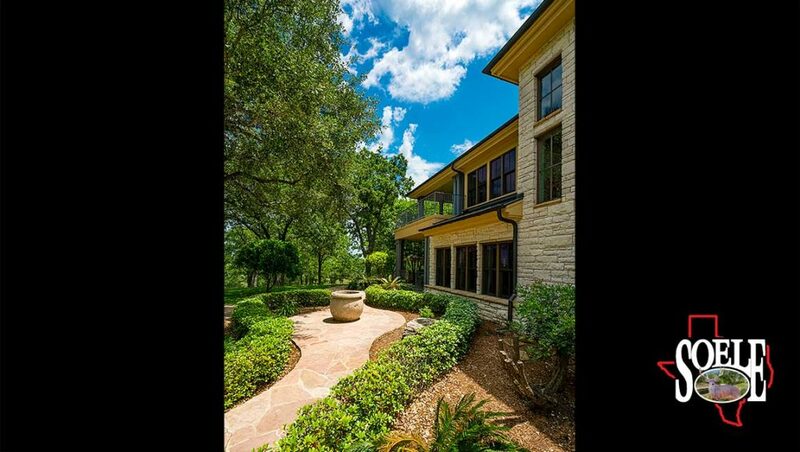 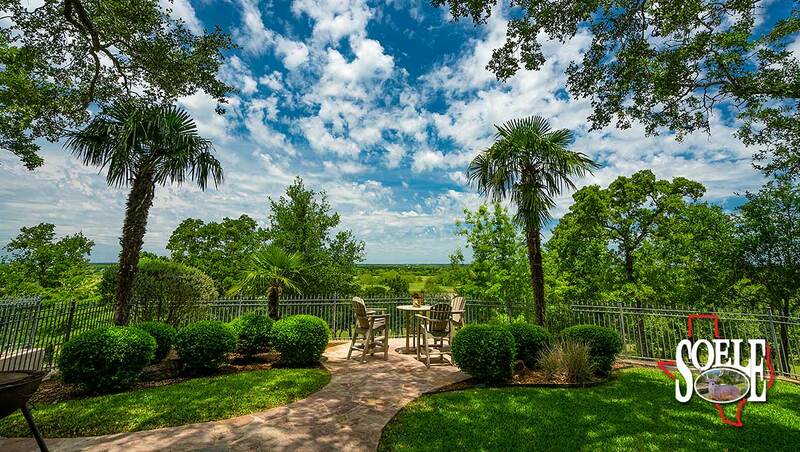 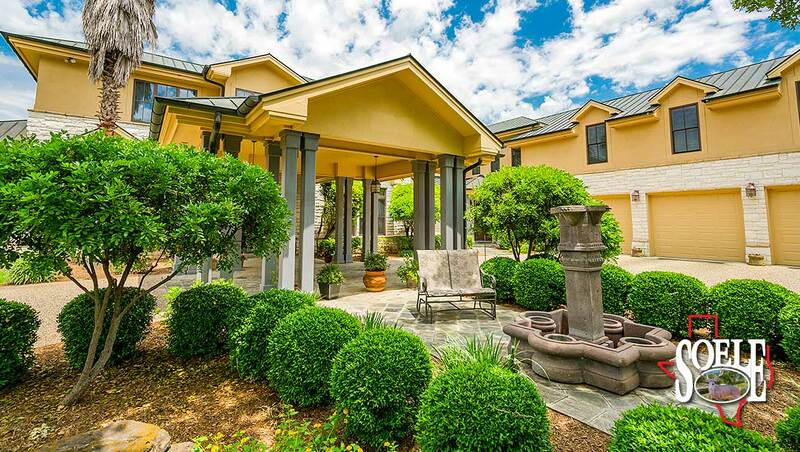 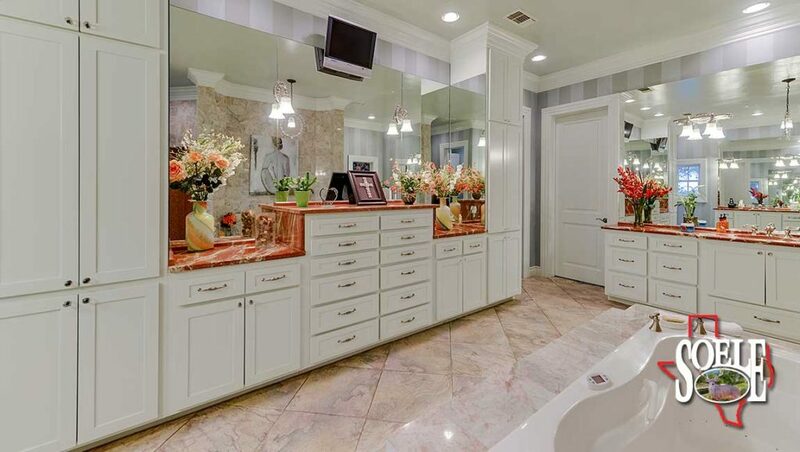 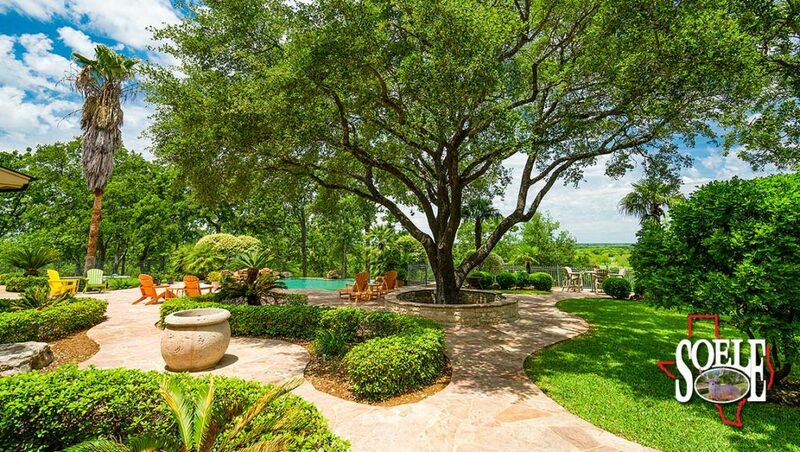 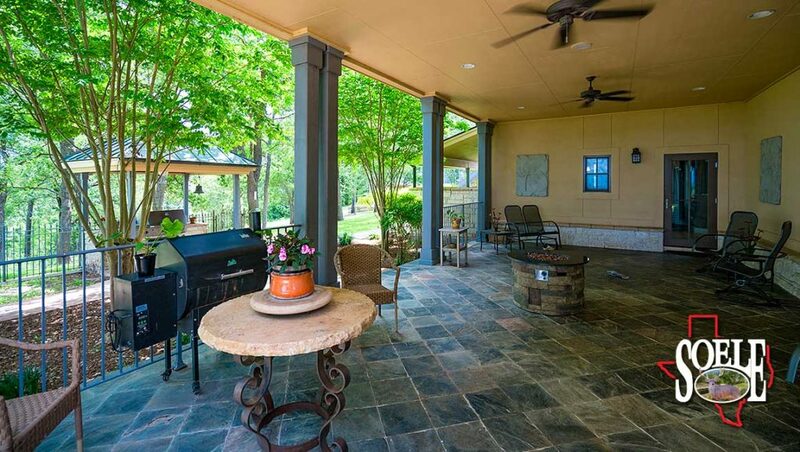 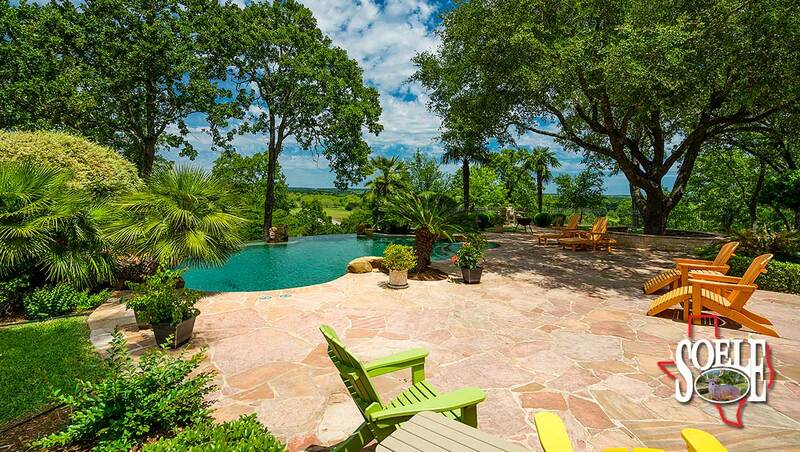 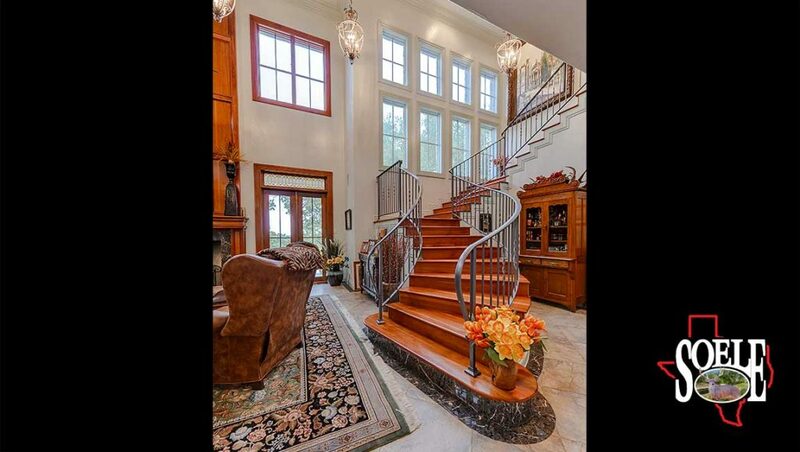 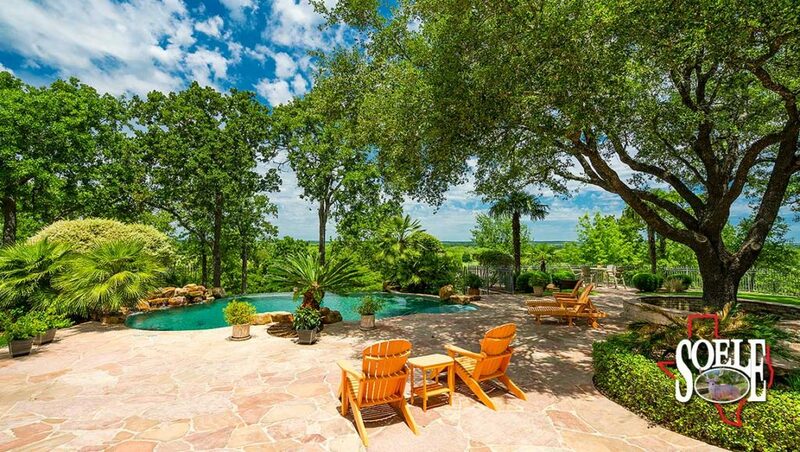 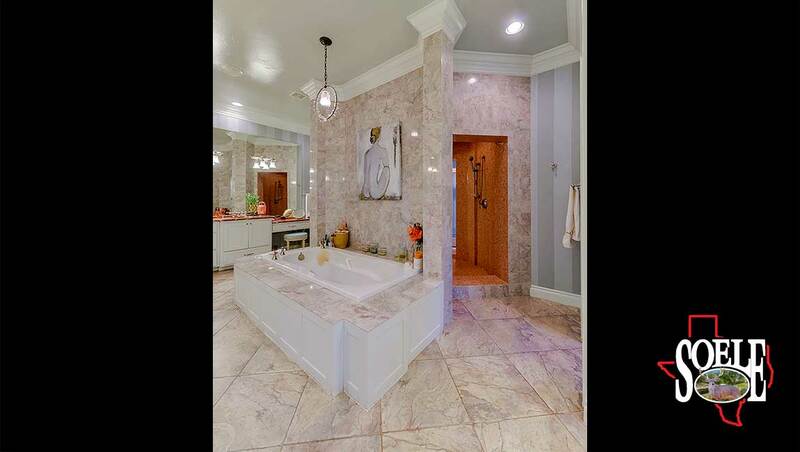 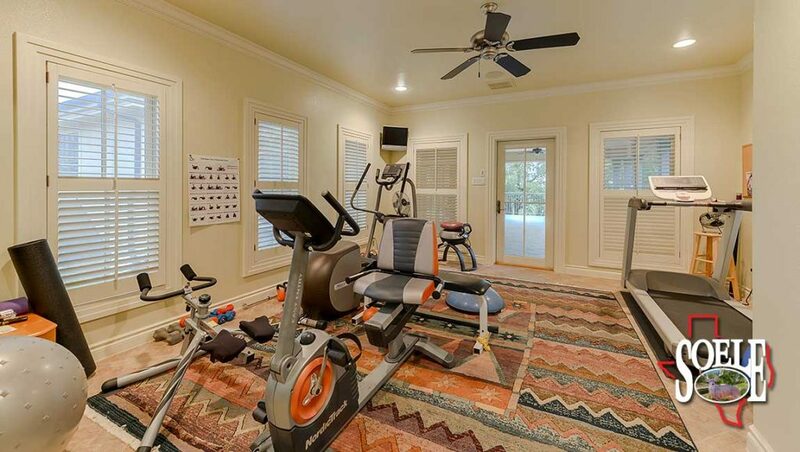 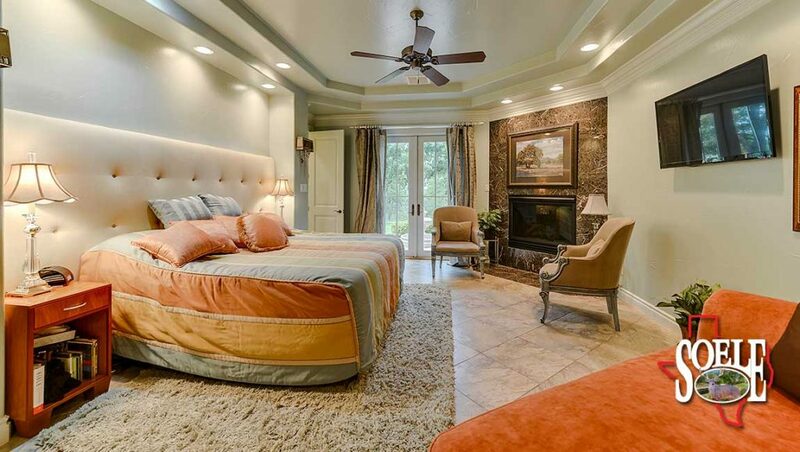 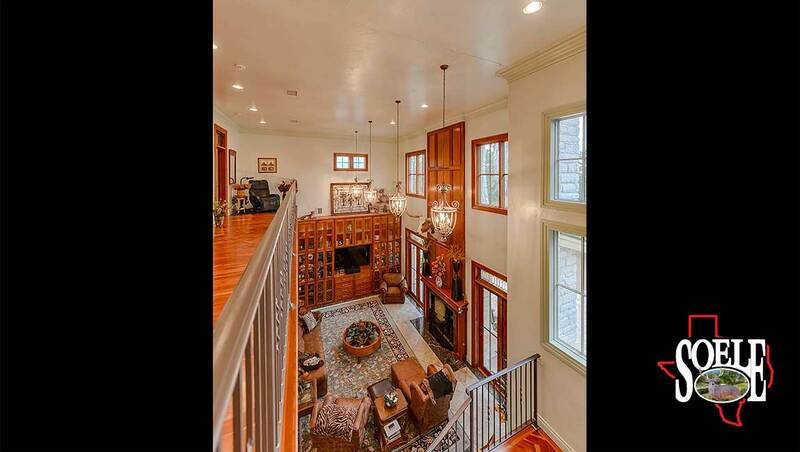 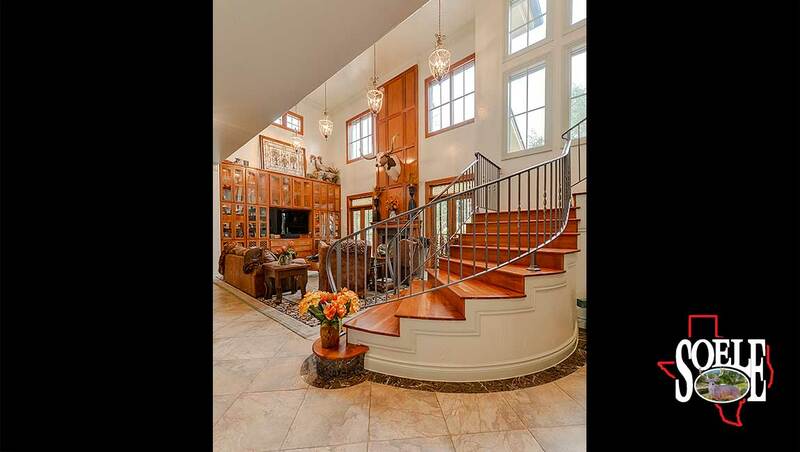 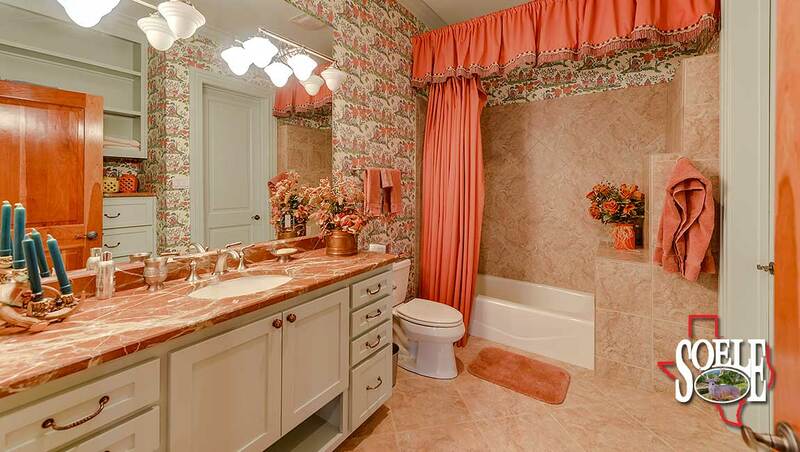 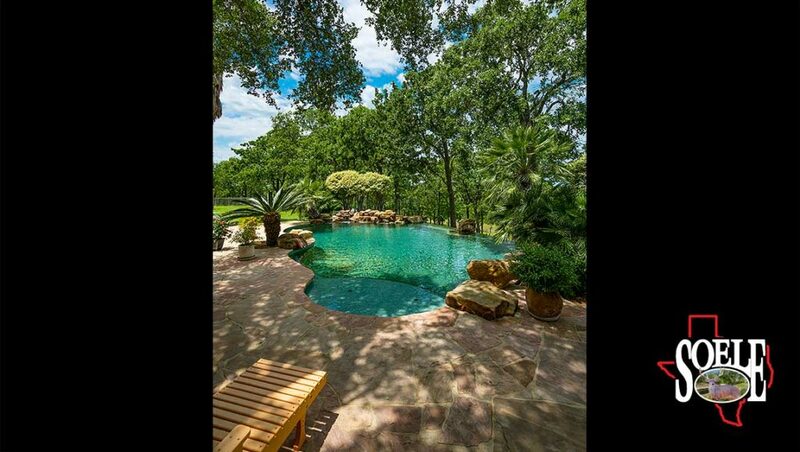 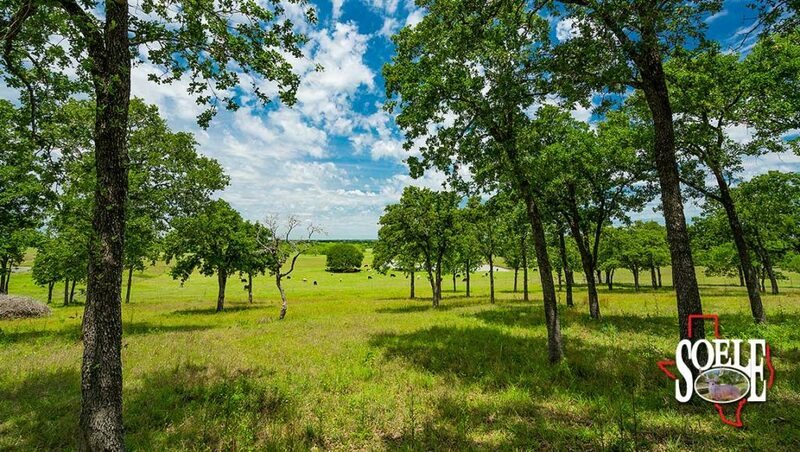 The land is fabulous and well maintained with gently rolling gorgeous topography and approx. 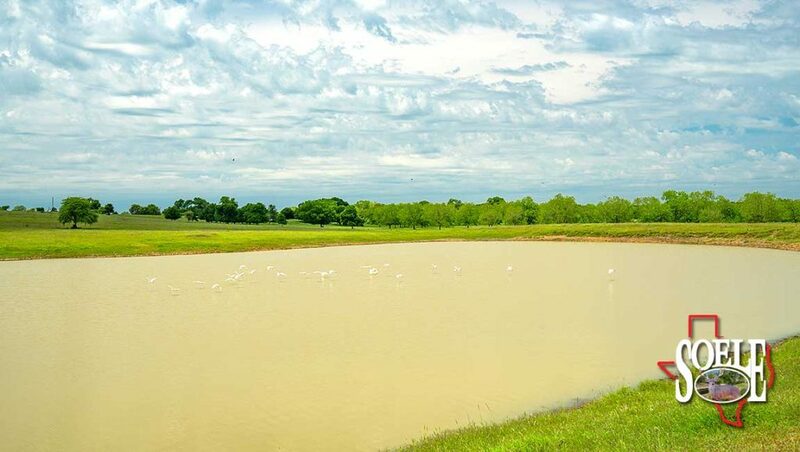 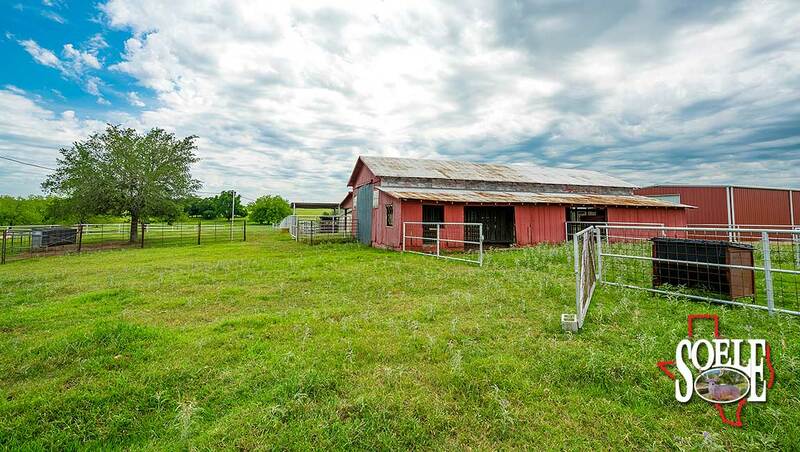 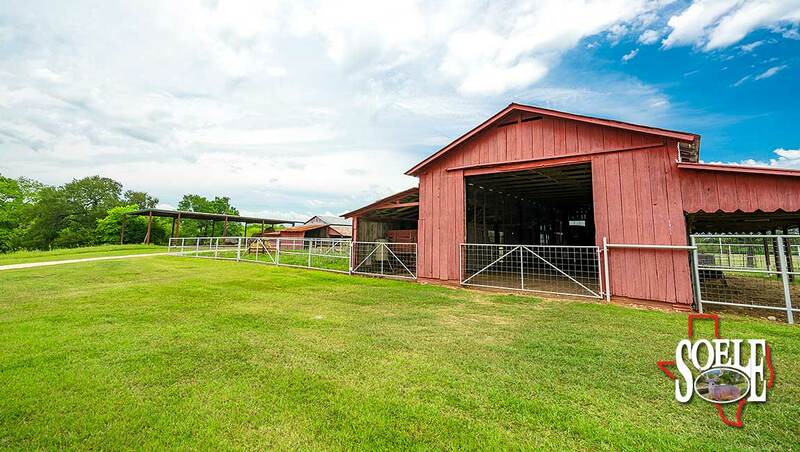 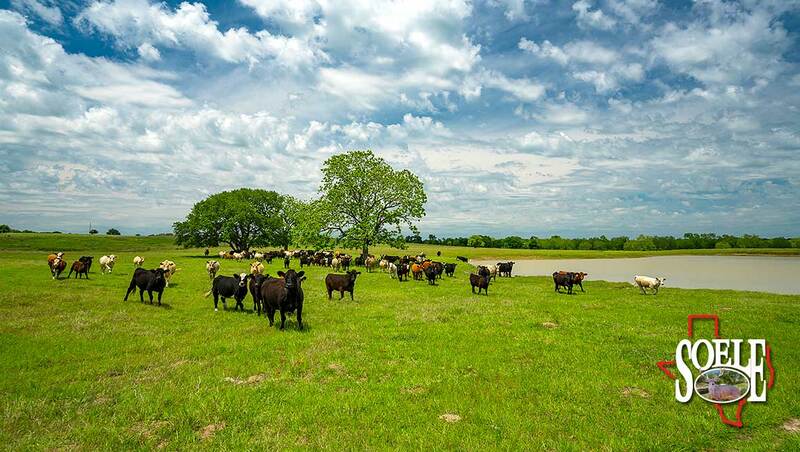 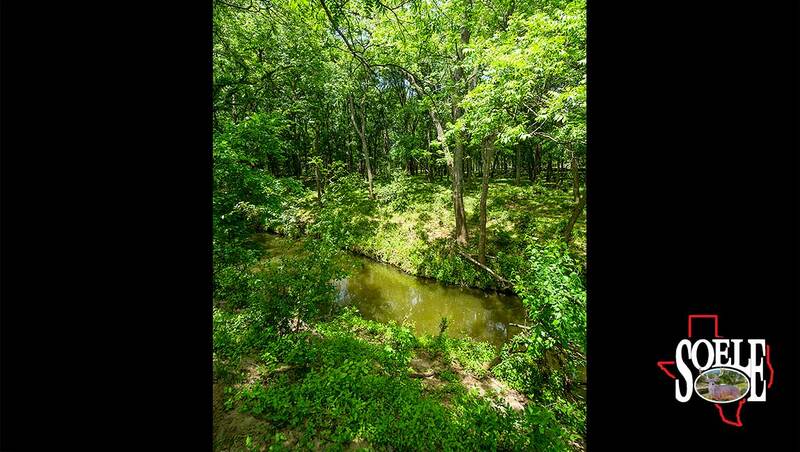 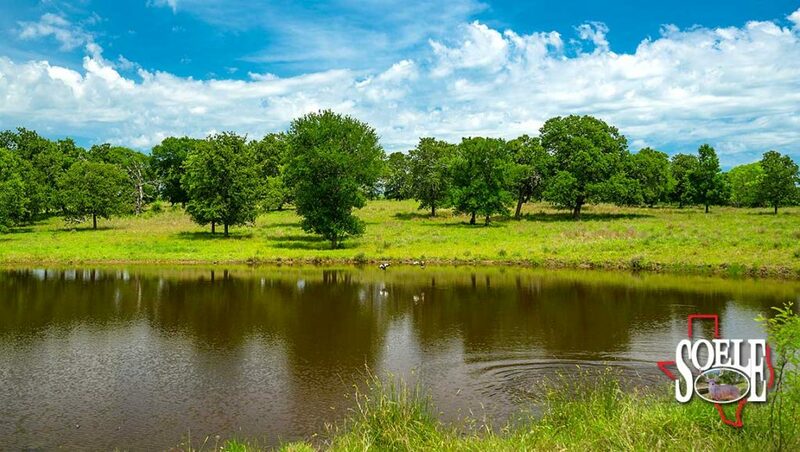 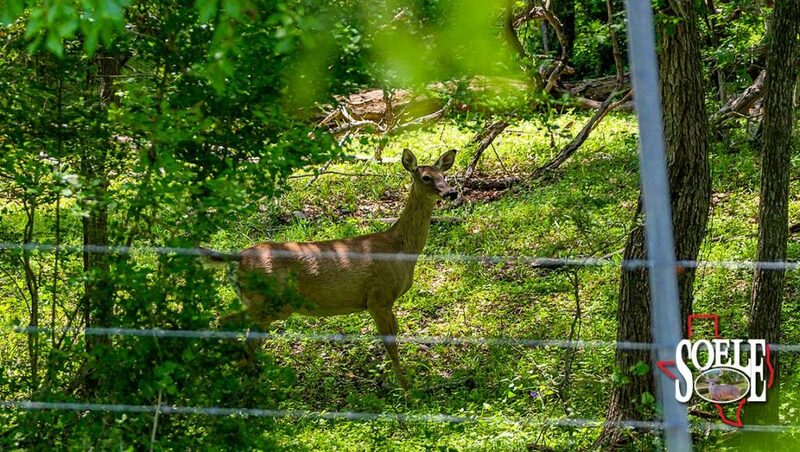 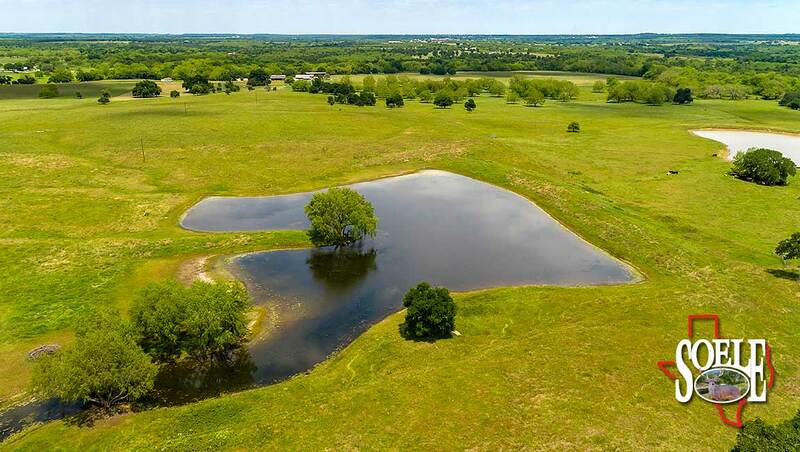 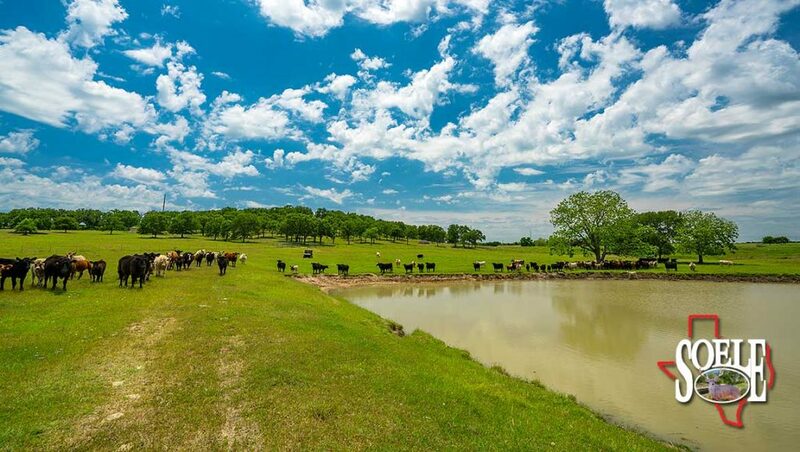 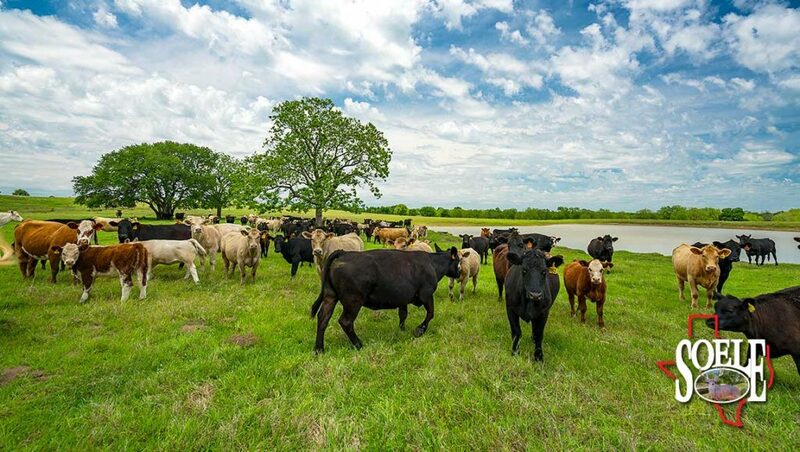 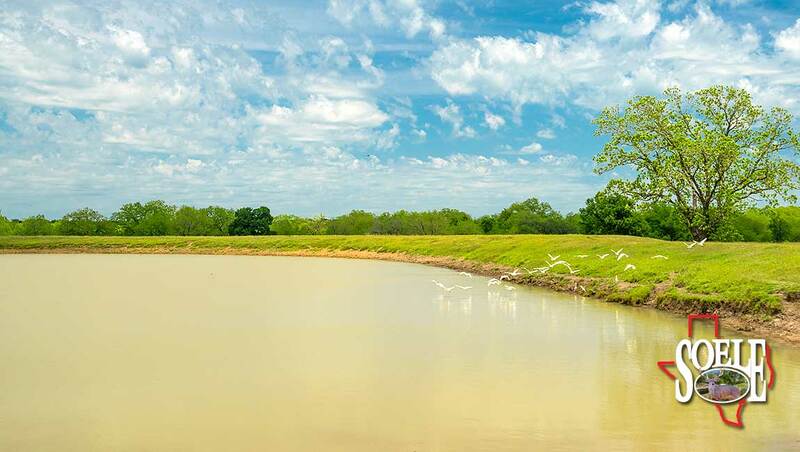 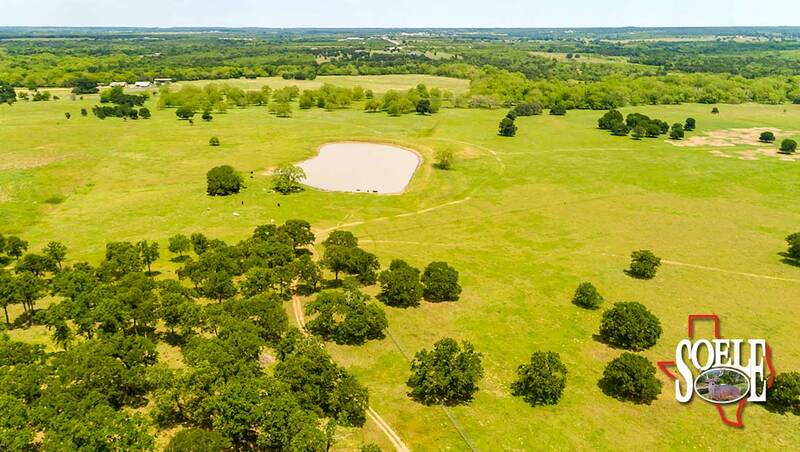 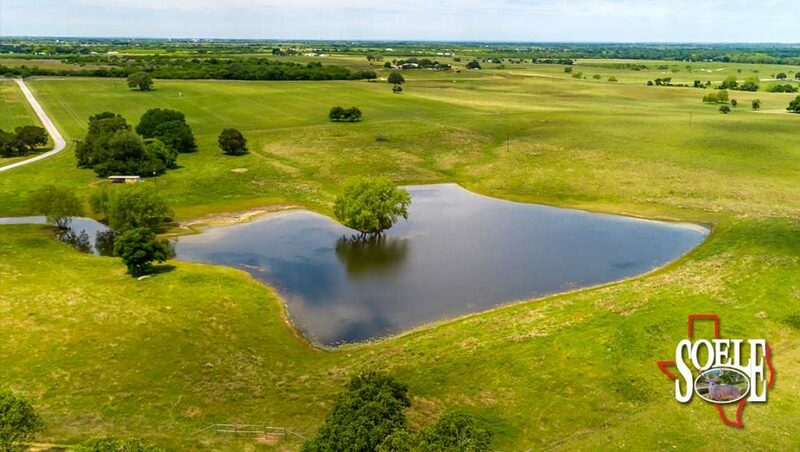 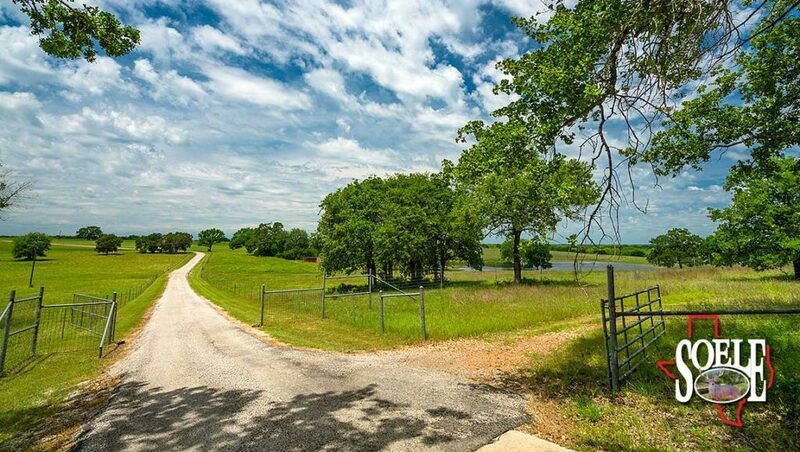 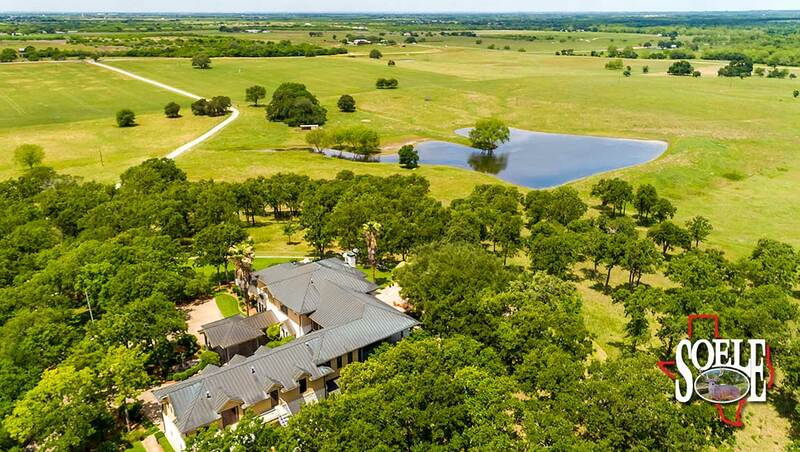 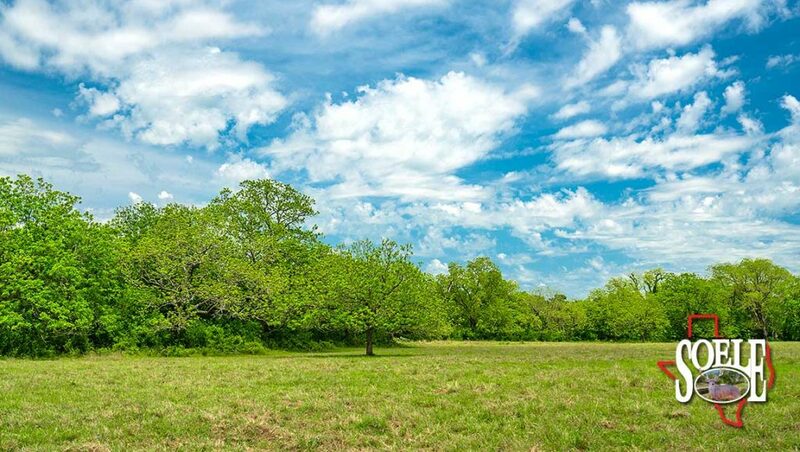 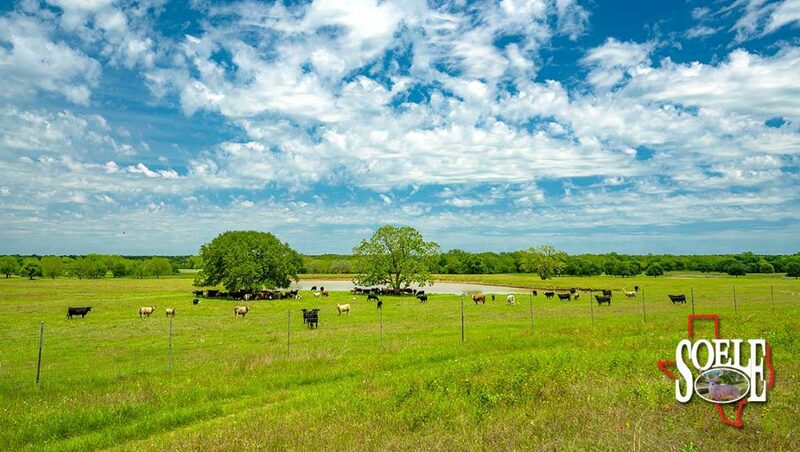 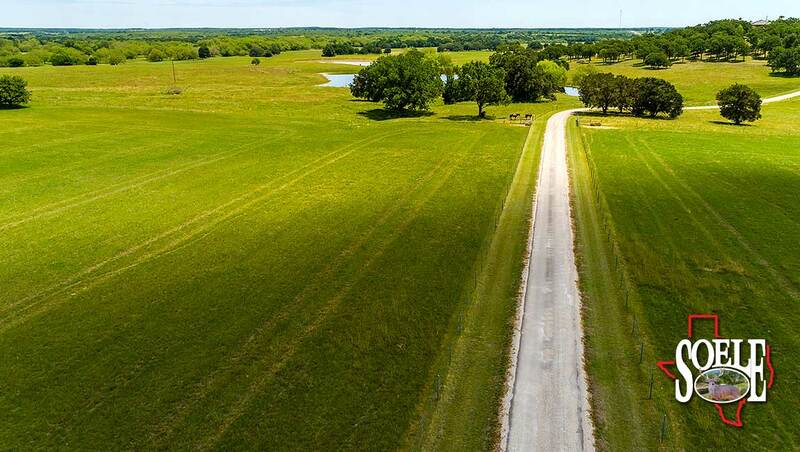 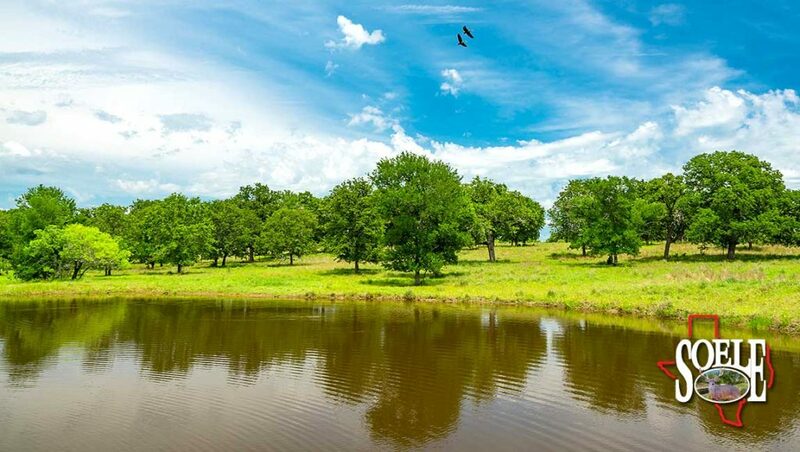 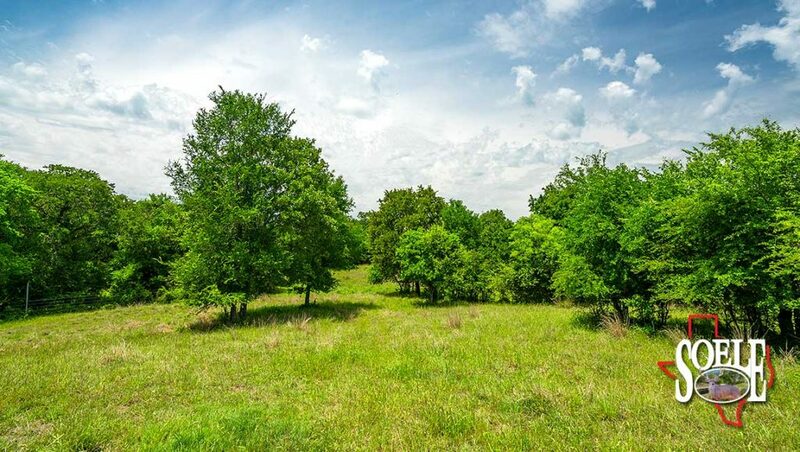 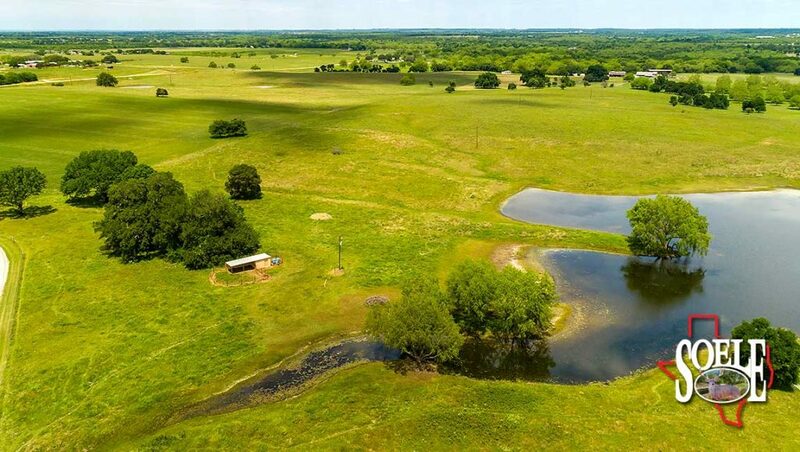 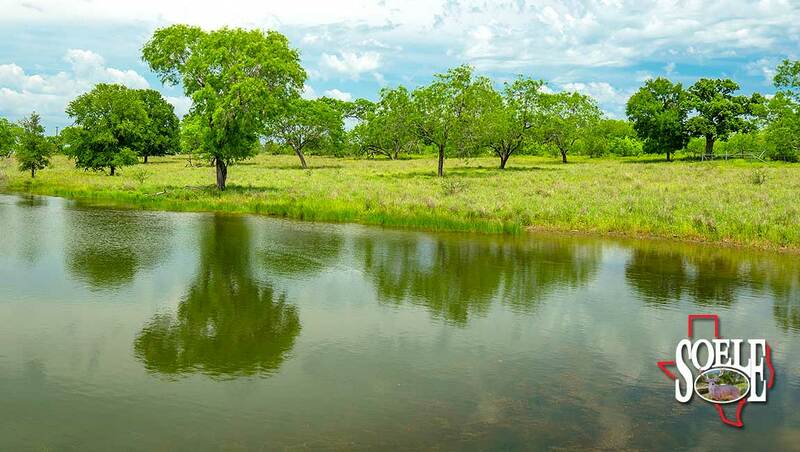 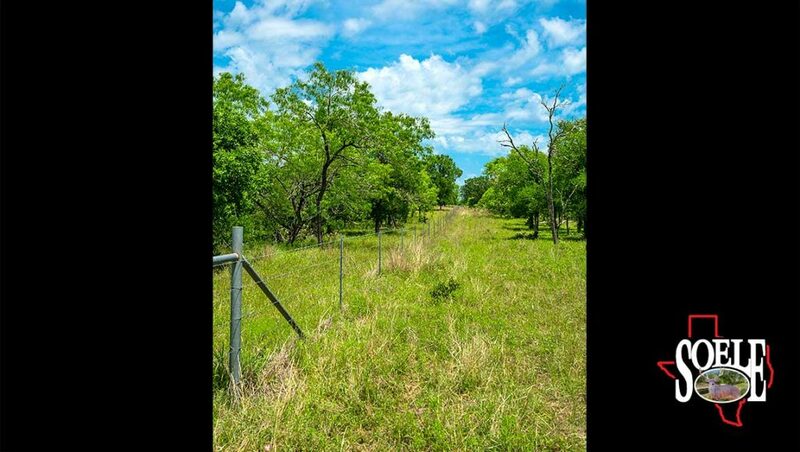 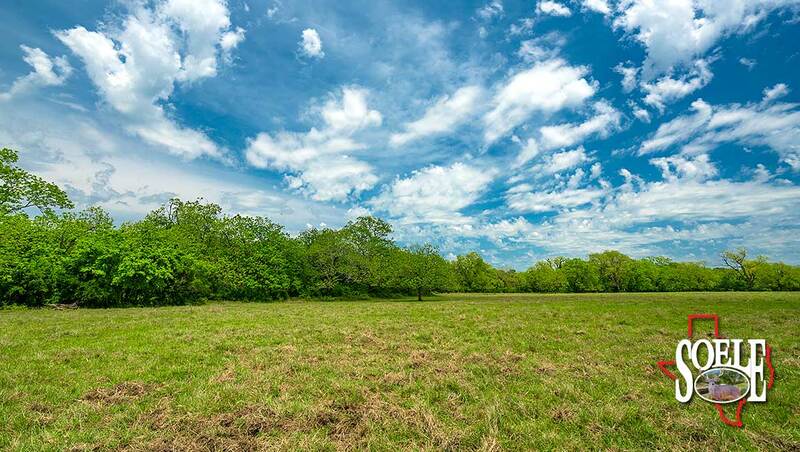 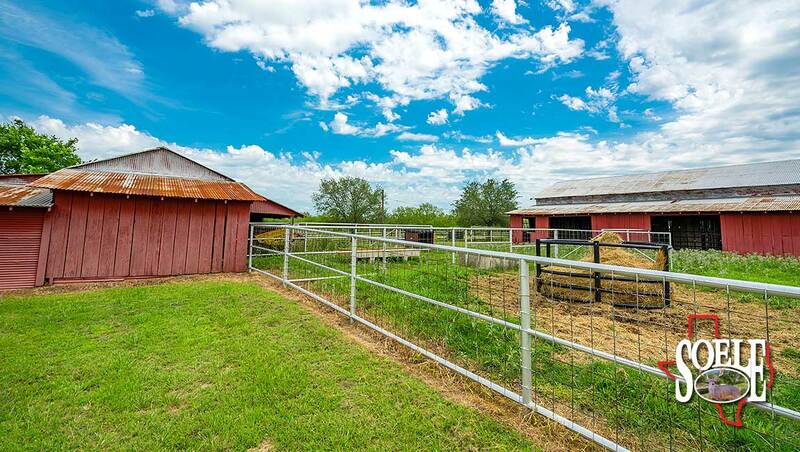 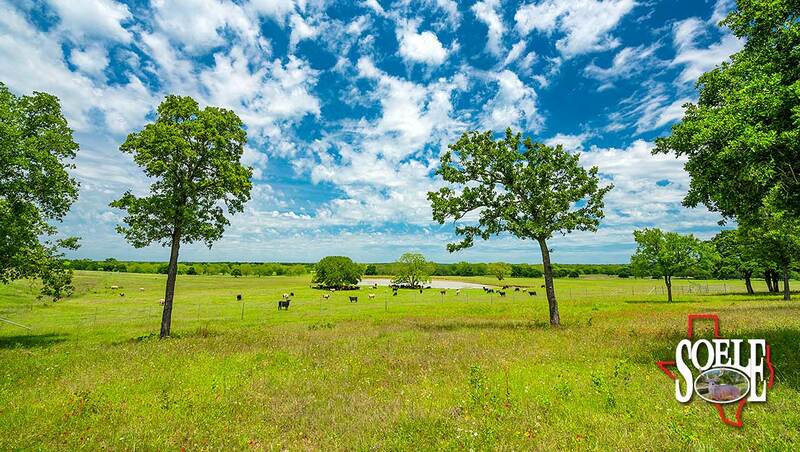 340± acres of improved grass pastures, giant trees, wooded areas along both sides of Mill Creek, hill top trees, Pecan orchard, 100s of native Pecan trees, 13 different pastures, 4 traps, iron cattle pens with covered chute. 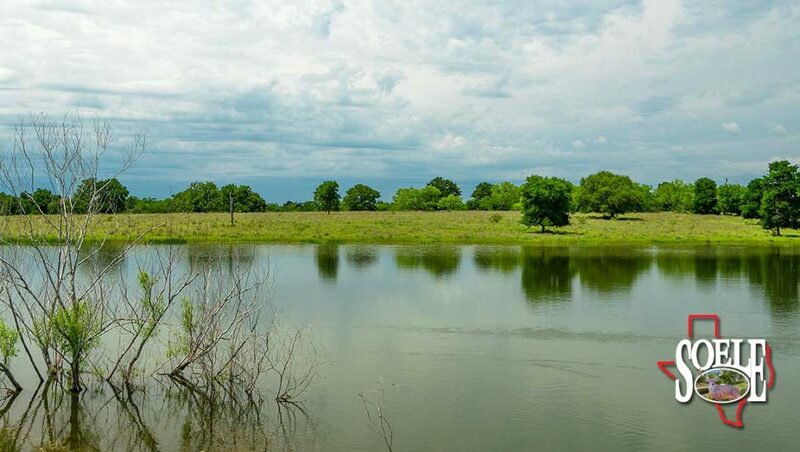 This is fishing, hunting, deer, turkey, wild hogs, and great duck hunting at its best!!! 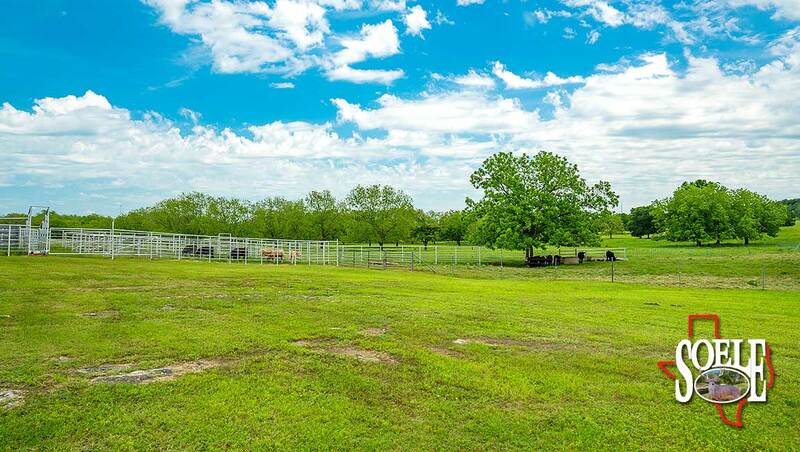 The best of the best cattle-horse-hay production with very high production ratios and opportunities! 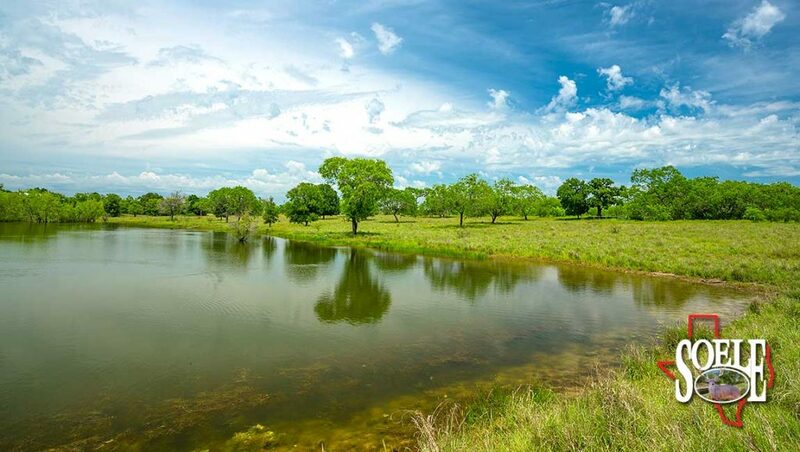 No oilfield production or traffic!!! 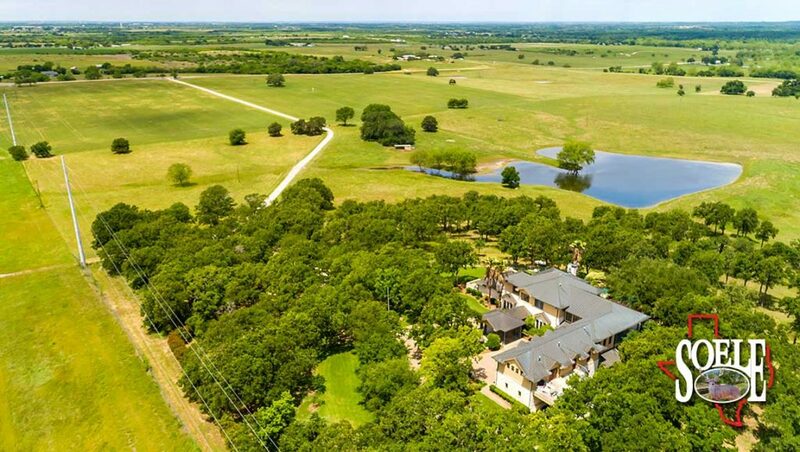 Taxes for the house are $19,500, and ag. 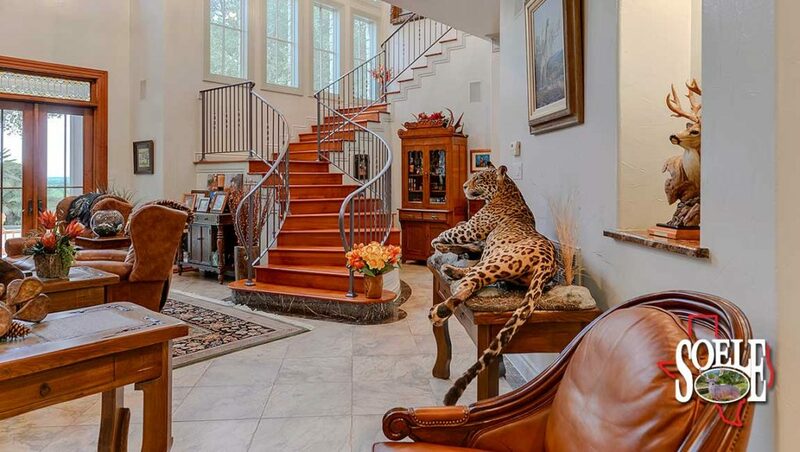 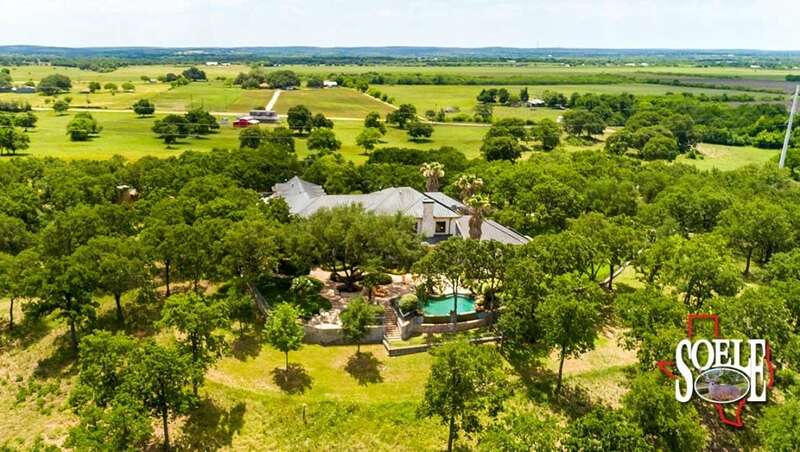 taxes on the property are $4,372 per seller. 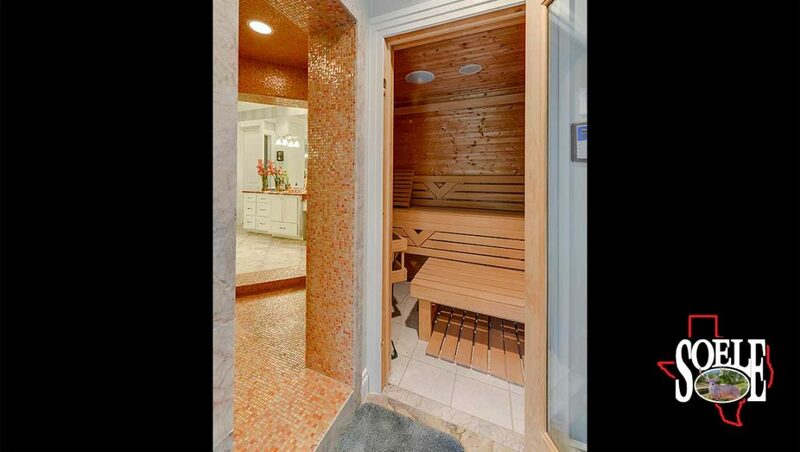 Shown by appointment only! 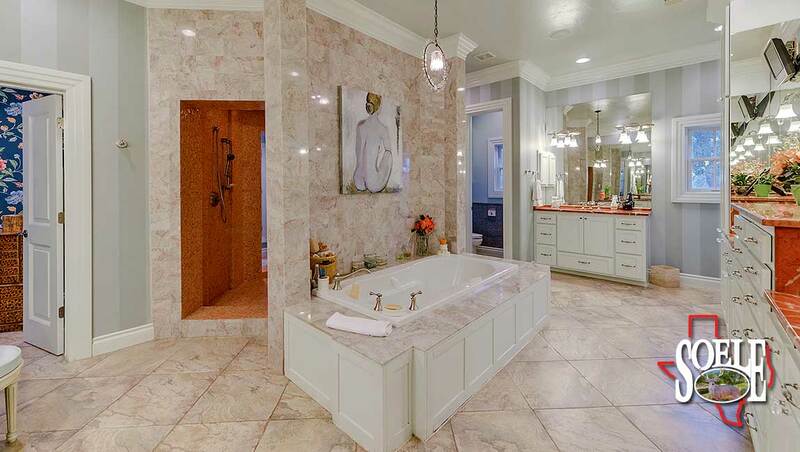 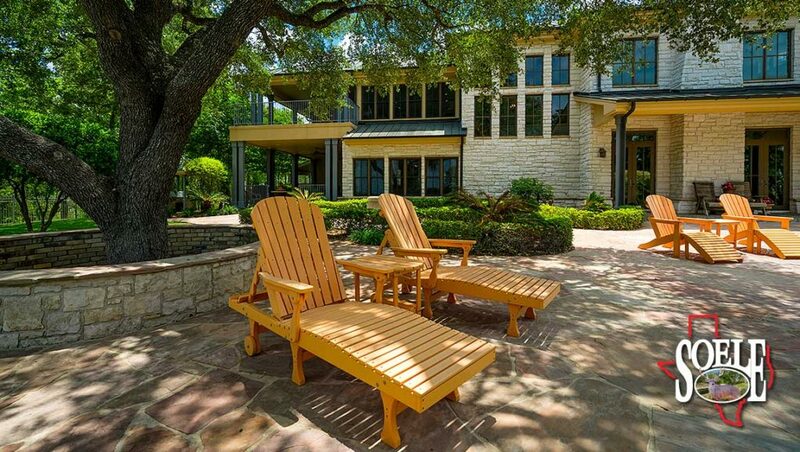 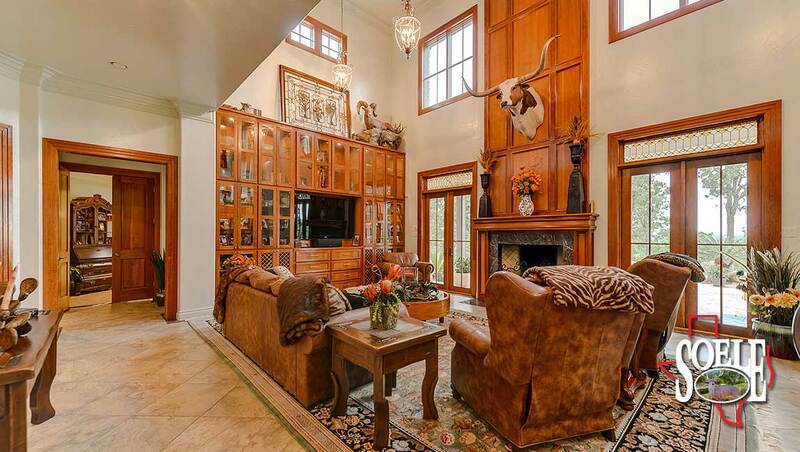 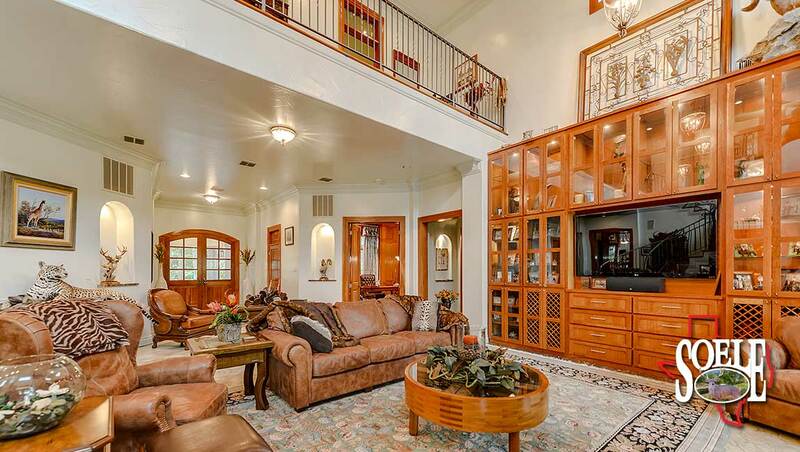 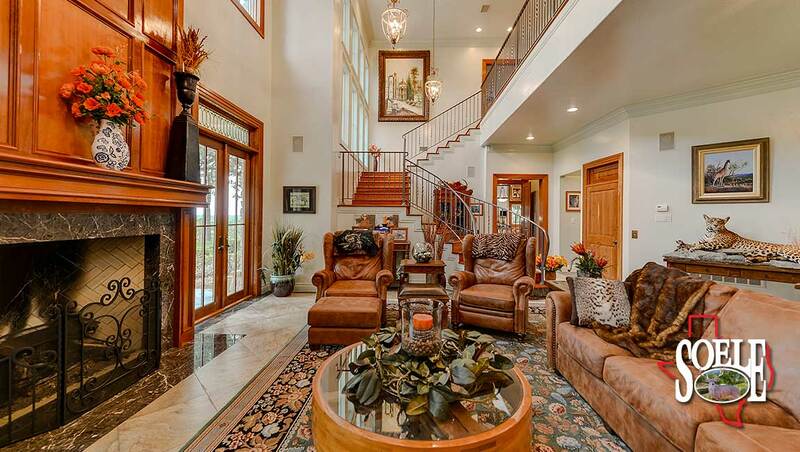 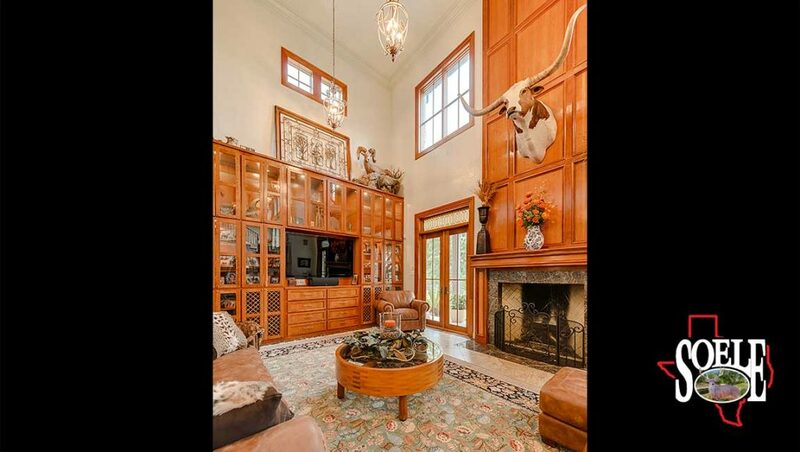 Call Jeff Soele (210) 705-4013.